Located at Vikan in Kristiansund’s Nordlandet district, the base is a wholly owned subsidiary of NorSea Group AS and ranked in 2017 as the main hub for offshore operations in the Norwegian Sea. Both the operator companies with permanent activity off mid-Norway (which includes Møre og Romsdal and Sør/Nord-Trøndelag counties) were then established at the base site. [REMOVE]Fotnote: Vestbase AS, downloaded on 11 January 2018 from its own website: https://www.vestbase.com/om-vestbase/vestbase-as (publication date unspecified). Vestbase was selected by the Storting as the supply base for both the Draugen and the Heidrun fields on the Halten Bank in the Norwegian Sea. Reaching this point had been a long trek. Efforts to turn Kristiansund into an oil base were driven by a small clique of forward-looking residents, who saw opportunities for the town as the “mid-Norway oil centre” from an early stage. [REMOVE]Fotnote: Those who want a more detailed description of the base issue in Kristiansund are recommended to read Hegerberg, H (2004). Et stille diplomati: Oljebyen Kristiansund 1970-2005. Kristiansund local authority. Large parts of this article are based on that work. Local politicians started to work on this idea in 1970, which culminated at a meeting of the council’s executive board on 17 September 1970. The chief technical officer was asked to investigate and identify municipal and private properties able to provide quays which would be suitable for servicing oil exploration. This “base decision” showed that Kristiansund wanted a special role if offshore operations were extended above the 62nd parallel (the northern limit of the North Sea). Read more in the article on opening this part of the Norwegian continental shelf (NCS). It is worth observing that this meeting took place less than a year after Norway’s first commercial oil discovery – Ekofisk, about as far south on the NCS as it could get – and nine months before that field came on stream. To see how a small town in mid-Norway succeeded in winning the fight on this important issue of base location for the region, and later for Draugen, the process must be considered step by step. It took a decade, and many obstacles had to be overcome. Kristiansund’s oil committee was formed in 1970 to secure a supply and service base for the town, and included mayor Asbjørn Jordahl from Labour until he was elected to the Storting in 1977. Other founder members were consul and shipbroker William Dall from the Conservatives (until 1980), and pharmacist and Liberal Otto Dyb (until 1995, chair from 1980). In addition came chief technical officer Ole Gunnesdal (until his death in 1979) and council architect Kristian Sylthe (until 1991, when he left the local authority). During its early days, the committee received good advice from central government through confidential contacts with Oluf Christian “Ossi” Müller. Born in Kristiansund, the latter was now secretary general at the Ministry of Industry and friends with key members of the oil committee – particularly Dall, who he had been to school with. [REMOVE]Fotnote: Hegerberg, H. (2004). Et stille diplomati: Oljebyen Kristiansund 1970-2005. Kristiansund: Kristiansund kommune. Müller also urged the town and committee to prepare sites for possible petrochemical industry. This called for much larger areas – 200-300 hectares and preferably port facilities for big tankers. Kristiansund was a small local authority in 1970, covering just 22 square kilometres – making it Norway’s smallest incorporated town – spread over several islands. So it was not easy to find suitable land within the municipal boundaries. The only option for attracting large-scale industry to the region was to ally with neighbouring local authorities. A collaboration established with Averøy, Frei and Tusna functioned well, and yielded a joint document in 1972 where areas potentially suited for various industries were presented. This work proceeded in parallel with identifying appropriate sites for a supply base. The oil committee believed in any event that such a facility should lie within Kristiansund’s boundaries. All possible and less-than-possible locations were mapped for a possible future exploration base. They had to be at least 0.8 hectares, able to provide a quay and lie within the town limits. The first list from the committee included eight candidates, mostly in the town centre, with the former gasworks site in the urban core as the first choice. A more detailed analysis admittedly showed that all eight were on the small side and offered little opportunity for expansion because they were hemmed in by existing buildings. So the search continued, and new areas were mapped. Three additional sites were introduced in January 1971 – including the one at Vikan. An important document in this identification work was the general plan for area utilisation in Kristiansund, which the council had been working on since 1968 and published in 1971. This divided the town’s restricted acreage into five “development guidelines”, with three defined as areas where employment activities would be concentrated. Nordlandet, the largest of the town’s islands, already had established industry and the largest amount of unutilised land suitable for industrial operations and jobs. According to the plan, further commercial activity was to expand where it already from before. But a secondary centre for services and manufacturing would be created in Nordlandet’s Løkkemyra-Vikan area. So Vikan was in the loop as early as 1971. The oil committee’s results were published in an advertising brochure for distribution to central government agencies and interested companies. This aimed to acquaint Norway’s emerging petroleum sector with what Kristiansund had to offer for a future supply base when offshore operations moved north. Jordahl penned a covering letter. An overview of potential base sites within the town limits was presented in the brochure. Although it was small, with limited expansion opportunities, the gasworks site – now a town-centre car park – found a place on the list. So did Holmakaia, right behind the town hall, and naturally also Vikan. The latter area lay on the southern shores of Nordlandet. The town council and its oil committee were not alone in preparing for a new era and a new industry. Kristiansund’s two big shipyards – Sterkoder and Storvik Mekaniske Verksted (SMV) – lay on the north side of Nordlandet and wanted their share of the oil cake. Sterkoder and its CEO, Arnfinn Kamsvåg, mobilised early and tackled the issue on two fronts – becoming an offshore fabricator and establishing a service base. For this purpose, the company secured a new site at Smevågen in Averøy, Kristiansund’s neighbouring local authority to the south-west. This island is linked to the town today by the Atlantic Tunnel, which opened in 2009. In the 1970s, however, communication between the two communities was still by sea. Where a base was concerned, Sterkoder established a dialogue with Norsco – one of the three big companies operating bases in and around Stavanger. The idea was ultimately to combine the offshore workshop with a supply facility. But Kristiansund council and the oil committee were unenthusiastic about a base in Averøy. For its part, SMV contacted North Sea Exploration Service, another of Stavanger’s base companies, and worked actively to get control of neighbouring properties at Dale in Nordlandet to build a supply base alongside its own yard. West Coast Service was established in the autumn of 1971 by SMV, with 40 per cent, North Sea Exploration Service, with 40 per cent, and Kristiansund Finans with the remaining 20 per cent. This company represented a precautionary move in order to be ready when oil exploration eventually began above the 62nd parallel. It remained dormant, with a modest share capital. The oil committee was happy to see these signs of competition, at a time when no timetable had been set for extending offshore operations to the continental shelf off Møre og Romsdal. No White Papers had yet addressed this issue, and everything remained very uncertain. See the article on opening the northern NCS. In order to realise its petroleum dream, Kristiansund had to get central government on its side. The town was very hopeful that the Storting would designate it as mid-Norway’s main supply base. The Ministry of Local Government appointed a joint local authority committee in 1972 to assess location requirements and choices for future bases above the 62nd parallel. [REMOVE]Fotnote: Ministry of Industry (1976). Petroleumsundersøkelser nord for 62°N, Report no 91 (1975-76) to the Storting, Oslo: 52. Downloaded from https://www.stortinget.no/no/Saker-og-publikasjoner/Stortingsforhandlinger/Lesevisning/?p=1975-76&paid=3&wid=g&psid=DIVL807. Appointed at the initiative of Kristiansund native Müller, among others, this body established a number of general criteria for determining which town would be chosen. [REMOVE]Fotnote: Hegerberg, H. (2004). Et stille diplomati: Oljebyen Kristiansund 1970-2005. Kristiansund: Kristiansund kommune: 48 These include a central position in relation to the opened areas – in other words, those parts of the NCS where the government would permit future oil and gas exploration. The chosen town also had to be close to an airport which met a high standard and provided the capacity to accommodate heavily laden aircraft. That was supplemented by a need for good communications by sea and land, where port conditions included quays and cranage for heavy lifts, and where land was available in reasonable proximity. Access was also necessary to well-equipped workshops and other industrial services, and the urban community should offer versatile service and environmental provision. The final – and perhaps most important – requirement was that the location for mid-Norway’s oil service base had to meet both oil and not least regional policy goals. This list might have been written explicitly with Kristiansund in mind. Its airport had opened in 1970 and access to the sea was straightforward. Land links were more of the problem. The town was spread over three islands which were closely tied to each other, but would lack a road connection with the mainland until 1992. The committee’s report, submitted on 27 October 1972, recommended Kristiansund as the site of a main service base for petroleum exploration off mid-Norway. Regional policy considerations weighed heavily. A base “would be of great significance in strengthening the economic basis of the region,” the report noted. [REMOVE]Fotnote: Ministry of Industry (1974) Virksomheten på den norske kontinentalsokkelen m.v, Report no 30 (1973-74) to the Storting. Oslo: 56. Downloaded from https://www.stortinget.no/no/Saker-og-publikasjoner/Stortingsforhandlinger/Lesevisning/?p=1973-74&paid=3&wid=c&psid=DIVL920. Kristiansund was in decline at the time, with industry contracting and unemployment high. At the same time, it was centrally located for offshore exploration off mid-Norway. Representatives from the town visited the industry ministry in December 1972, two months after the committee had presented its recommendation. As we have seen, the town was a strong base candidate because it met most of the requirements set by the government. But this was not enough for the ministry – Kristiansund had to obtain collective support from the whole region. The town took this challenge seriously. It contacted the other local authorities in Møre as well as the county governors of More og Romsdal and Sør/Nord-Trøndelag to draw up a joint plan for a regional petroleum policy. Møre og Romsdal’s county oil committee was the first to express its support on 6 February 1973 after voting five to one for Kristiansund as the main supply base. The dissenting voice came from Ålesund, the principal town in Sunnmøre further south, which was pursuing its own ambitions at the time to secure an offshore base. Support from the region was one thing, but Kristiansund’s own council had yet to take a decision. This occurred on 7 February 1973, with a unanimous vote to support the base proposal. The resolution also stated that partners would be sought and that the council would begin talks with Østlandske Lloyd, part of the Fred Olsen shipping group, on building a base at Vikan. With the signing of a letter of intent between these two parties, the council had indicated that it intended to allocate the area around Vikan for a future oil base. Regional declarations of support continued to arrive. On 19 February, the Møre og Romsdal county executive board backed Kristiansund by 10 votes to one – Ålesund again in opposition. The executive boards for Nord-Trøndelag and Sør-Trøndelag county councils followed with unanimous votes on 9 and 21 March respectively. Support from these mid-Norway councils increased the likelihood that the Storting would approve Kristiansund as an oil centre, and allow the dream to become reality. No legislation existed in the early 1970s which specified that the Storting was to decide when and where petroleum bases could be built round the country. In principle, both local authority and private base companies could set up shop wherever they fancied. But some opportunities for official control nevertheless existed. Being selected by the Storting did confer some advantages, such as access to basic investment through the Regional Development Fund and to favourable government loans. However, this was changed in 1973 when the ultimate decision on the positioning of main supply bases was assigned to the Storting. To ensure greater powers over the location and number of major oil-related projects, the government introduced a temporary Act to regulate the establishment of companies. That made the petroleum sector subject to more detailed regulation than any other industry in Norway, primarily to achieve efficient control of new and expanded operations in areas experiencing development pressure. This in turn allowed the authorities to keep total activities within the confines of overall national resources and to achieve a reasonable regional distribution of such operations. [REMOVE]Fotnote: Lunde, H and the Norwegian Ministry of Local Government and Labour (1974). Etableringskontroll og lokaliseringsveiledning, Norwegian Official Reports (NOU): 46. Universitetsforlaget, Oslo. In regional policy terms, the Establishment Act was viewed as important for spreading more of the oil industry to economically underdeveloped areas. The Act specified in part that “no development of bases for the petroleum industry … may be initiated before the King has given his consent.”[REMOVE]Fotnote: Ministry of Finance (1974). Petroleumsvirksomhetens plass i det norske samfunn, Report Nr 25 (1973-74) to the Storting: 80. Downloaded from https://www.stortinget.no/no/Saker-og-publikasjoner/Stortingsforhandlinger/Lesevisning/?p=1973-74&paid=3&wid=c&psid=DIVL658. Applications for such projects were to be sent to the local government ministry and submitted to relevant county governors and county/local councils. In other words, the central government would decide – in consultation with both counties and local authorities – who could be allowed to call themselves a “base town”. The temporary legislation was replaced by a permanent Act on 20 February 1976. It lost much of its significance from the late 1980s and was repealed in 1994. 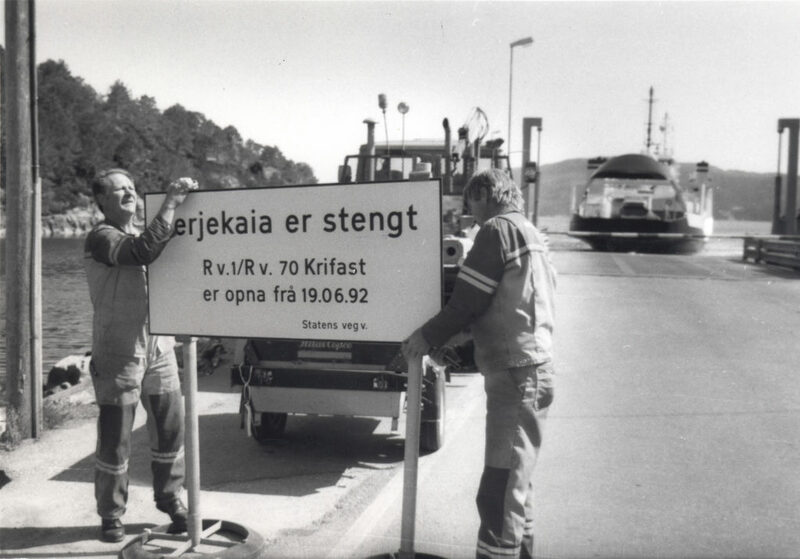 After the boost provided by support from the rest of mid-Norway, the remainder of 1973 proved a time of waiting for Kristiansund council and its oil committee. Everyone was waiting for clarification from the Storting on the location issue and for a decision to start oil exploration off mid-Norway. The final settlement of the first question was provided on 15 February 1974, when White Paper no 25 on the place of petroleum in Norwegian society was issued by the finance ministry. Known as the “oil report”, this recommended that “the area off Trøndelag and Møre will provide the basis for establishing a base in Kristiansund”. This decision aroused no controversy in the Storting, and was ratified unanimously. The mood in Kristiansund was naturally jubilant. But the celebrations were somewhat muted by the government’s simultaneous pronouncement that exploration above the 62nd parallel would start off northern Norway, and then move south. Admittedly, the White Paper said a rapid opening of areas outside the Møre/Trøndelag coast would be desirable. But it looked as if it might take many years for the first rig to show up there. As long as the government refrained from allowing exploration drilling, no base would be needed. That depended on operations out to sea. The Storting’s standing committee on industry also supported the choice of Kristiansund as the main base location. Finally, the town had secured the acceptance it had been pursuing for so many years. But much work remained before the base became a reality. White Paper no 25 was followed up by the industry ministry’s own White Paper no 30 on offshore activities, where specific proposals for the start to exploration were presented. [REMOVE]Fotnote: Ministry of Industry (1974). Virksomheten på den norske kontinentalsokkelen m.v. Report no 30 (1973-74) to the Storting. Oslo. Downloaded from https://www.stortinget.no/no/Saker-og-publikasjoner/Stortingsforhandlinger/Lesevisning/?p=1973-74&paid=3&wid=c&psid=DIVL920. Drilling would begin off Troms in the far north during 1975 or 1976, and outside Møre and Trøndelag at roughly the same time or a little later. With only two years until activity could get going off their own coast and with the Storting’s blessing as a base town, the Kristiansund council could finally initiate construction. However, two key questions remained to be answered – where would the base be located, and which company was to build and operate it. As noted above, the town council had voted in February 1973 that the area around Vikan was to be used for a base and signed a letter of intent with Østlandske Lloyd. Nevertheless, the oil committee was also working with West Coast Service at Dale in collaboration with SMV and wanted two areas to be put into operational condition. While Vikan was admittedly intended to be the main supply base in the long run, it was possible that a smaller facility at Dale would be needed in the first exploration phase. In January 1975, the Kristiansund council made a formal approach to Statoil to establish collaboration over a service and supply base. The state oil company was positive. But wanted it to wait for the government and would not commit until the Storting decided when oil activities would begin off mid-Norway and how extensive they would be. This was due to be specified in a promised White Paper, and construction of a base could not begin until that document had been produced. In early 1976, the council started work on an application to the Ministry of Local Government for a licence to set up a base pursuant to the 1973 Establishment Act, and for state funding. Just when everything appeared to falling into place, new obstacles arose. In particular, a decision on oil drilling in the north turned out to be taking much longer than expected. This delay prompted Østlandske Lloyd to withdraw from the Vikan project on 26 September 1975, two years after it signed the letter of intent with the council. The company was dissatisfied with the government’s policy on private-sector involvement in oil operations, while it also had financial problems because of a shipbuilding recession. So what was the oil committee to do now? Its new plan aimed to put together a group comprising Statoil and other oil companies, local enterprises and the council to build and operate the base jointly. This facility was conceived as a combination of business park and base. To make the best possible provision, the council now acquired 180 000 square metres in Vikan for the project. A budget for investment in and operation of the planned base area was presented in December 1975, and a construction project finally looked like getting off the ground. The first draft of a timetable was ready in January 1976. But Sterkoder had not given up. It also approached Statoil over a supply base on Averøy, offering the state company 50 per cent while it took 25 per cent and Kværner the remainder. But the latter was not a natural partner for Statoil, and this proposal failed to win acceptance. Sterkoder and Kværner continued the work as a joint venture. This proved an eye-opener for Kristiansund. The town now had to decide if it was not to lose what had been sought for so long on the last lap. The council and oil committee feared that exploration drilling would begin off mid-Norway before the Vikan facility was ready, and had to find an interim solution. They turned yet again to SMV in order to lease quays and base areas until Vikan was operational. The yard was positive, and keen to negotiate a lease. In White Paper no 91 (1975-1976) on petroleum operations above the 62nd parallel, which finally appeared in April 1976, the ministry said it wanted only one base company in Kristiansund. Involving local industry as much as possible in petroleum-related service operations was another of the conditions set. The council was expected to back companies which wanted to establish service functions on a base. At the same time, the council was encouraged by the ministry to invite Statoil to collaborate on such a facility. The White Paper noted that the town’s oil committee was already in discussion on this issue with North Sea-West Coast Service and Atlantoil, as well as the state oil company. The most interesting section of the White Paper for Kristiansund detailed when drilling was to start. It finally announced that oil exploration off Møre and Trøndelag would begin at the same time as further north in 1978. Statoil was to bear the main responsibility for such drilling and would be able to demand a 50 per cent interest, or more, in all production licences. A preliminary design was now produced for the Vikan base, but this process made it clear that the 16-hectare site was too small. It needed to be at least 20 hectares. In addition, it would be expensive to develop, the topography was irregular, the quays were difficult to access and had poor seabed conditions, and weather conditions were generally unstable. A bit late in the day to discover all this now. Neither the oil committee nor the rest of the local authority could see any alternative within the town limits, and the committee found itself wavering. It and the council had no other option but to look again at the costs of the Vikan site compared with Sterkoder and SMV. After some discussion, a lease of the Dale site was sought. 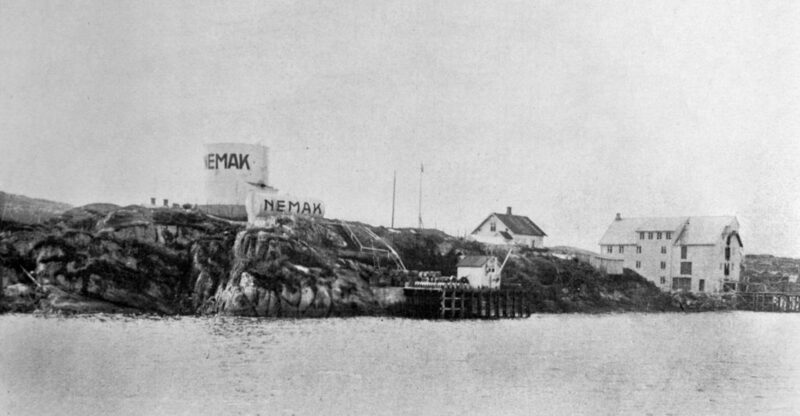 An oil blowout occurred in a well on the Ekofisk field on 22 April 1977. The offshore accident which everyone had feared was now a reality. Nobody was killed, but the 2/4 Bravo platform sprayed out oil for almost seven days. This incident sparked new debate on whether and when to open the NCS above the 62nd parallel for exploration. On this occasion, however, the delay was welcomed by Kristiansund. After six years of work, no base existed yet and no company had been formed to run it. The oil committee, which had worked so hard and been so positive, was down for the count. But the autumn of 1977 marked a turning point for the town as a base. Fresh forces made their appearance – not least in the shape of Thor Sætherø, the council’s new chief financial officer. He was a man with initiative and liked to operate on his own. After contacting both the ministry and Statoil, he agreed with the latter to launch preparations for establishing a base company. Under the agreement, this locally based enterprise would be a partner with Statoil but the latter would own at least 50 per cent. Kristiansund council and regional industry both had to participate. The approach adopted in building up a base company utilised the model developed by Statoil for the support facility at Harstad further to the north. The company was to provide the oil industry with information about what its shareholders could offer in the shape of goods and services, and forge contracts between them and oil companies. It would also organise inspection tours, study trips and conferences, and help to establish new enterprises which would be needed when oil operations got going. Another aim was to become a shareholder in the base company due to be set up. In March 1979, a base site for the exploration phase had still to be chosen. Statoil aimed to have a facility ready for operation in Kristiansund on 1 April 1980. The oil company took the view that preparation of the Vikan site was now urgent, and should start not later than 1 July 1979. After nine years, time was suddenly short. A formal decision to establish the Vestbase facility at Vikan was not taken by the council until 30 March 1979. Construction started on 30 July and the base was inaugurated on 27 May 1980. 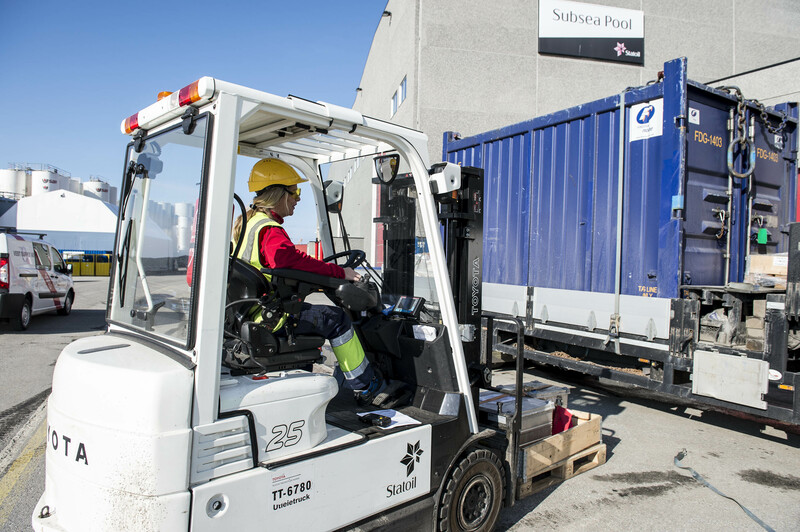 Kristiansund council installed power, water and so forth, while Statoil – which leased the land – took responsibility for and funded development of the necessary base facilities. In parallel, the final green light for exploration above the 62nd parallel was given by the Storting in May 1979. The deadline to apply for licences in these waters was set as 1 August 1979, with drilling to begin in May 1980. The main job of Vestbase was to offer space and equipment at all times for supporting petroleum activities off mid-Norway. Facilities included personnel, outdoor storage and quays. In addition came bulk warehousing with heated and refrigerated stores, offices, stockpiles of oil spill clean-up gear, transport equipment and containers. The base also offered a range of goods and services such as ship’s chandlery, technical maritime requisites, shipping agents, container services, steel rope and chain, and customs clearance. It was initially owned 40 per cent by Midt-Norsk Baseservice A/S with 40 per cent, Statoil 40 per cent and Saga Petroleum 10 per cent. Vestbase functioned well from the start, but did not have that much to do. A total of 15.5 work-years were performed during the first year. Strangely enough, however, local industry stayed away. More companies eventually moved in. Activity at the facility fluctuated in line with operations off mid-Norway but did not really take off until Draugen came on stream in 1993. Norske Shell was awarded exploration acreage outside the Møre and Trøndelag coast in 1984, and established an operations office at the base. 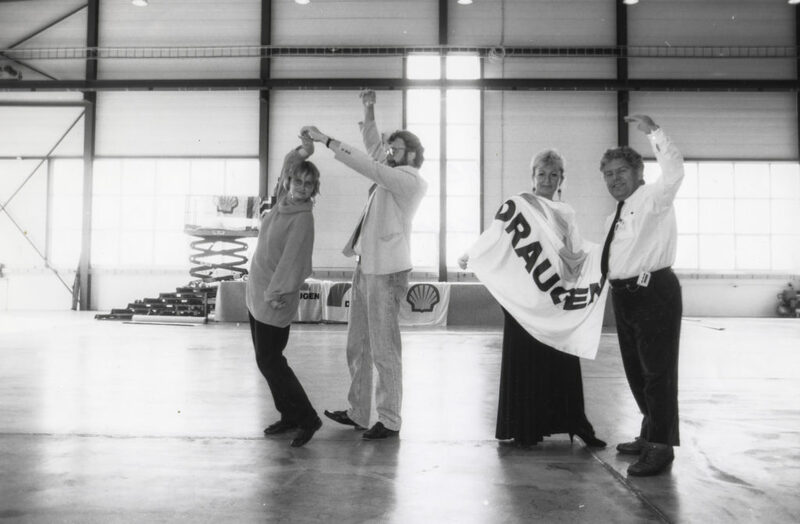 By 27 July that year, Shell knew it had found oil and Draugen was declared commercial on 14 May 1987. That marked the start of the fight for the operations organisation and supply base. Covering 600 000 square metres of harbour area, Vestbase is now the main supply base for petroleum operations in the Norwegian Sea. In 1990, it secured the transport assignment for the Draugen development – characterised as “the biggest contract so far in mid-Norway”. This job was important not only because of its size, but also because it brought the base new expertise which would be very important for the future. The contract was secured at a favourable moment for Vestbase, and saved it during a difficult time. The company was split in 1994 into an operations arm (Vestbase AS) and a property enterprise (Vikan Eiendom AS). As the base has developed, other property companies have been established, including Vikan Næringspark Invest AS. Vestbase AS is now wholly owned by NorSea Group AS, a leading national player for port and base operation. The facility has developed from being a purely logistical hub into an operation and service centre for offshore-related operations. It is now a business park rather than simply a base, hosting more than 60 companies with 700-800 employees. Its own organisation has about 210 staff, making it Kristiansund’s biggest private employer. Operations during the first 20 years after 1980 related mainly to base and supply functions. But Vestbase has seen a sharp growth since 2010 in technical and other petroleum-related services, with more expertise-based jobs. [REMOVE]Fotnote: Bergem, B. (2013). Ringvirkningsanalyse av petroleumsklyngen i Kristiansundsregionen: Status 2012 og utsikter frem mot 2020 (Vol. 1306, Rapport (Møreforsking Molde: trykt utg.)). Molde: Møreforsking Molde. This facility played an important part in the decision which made this mid-Norwegian port an oil centre. 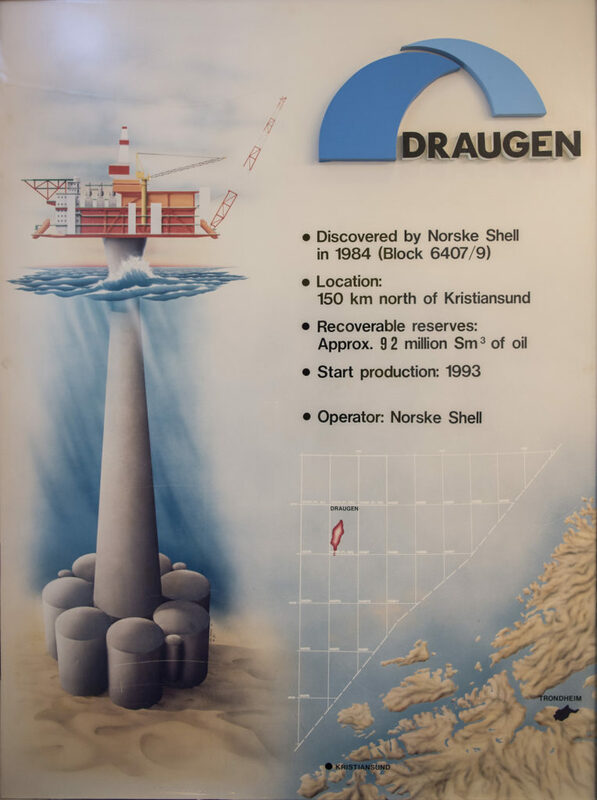 It was an important argument for Norske Shell when it resolved to locate the operations office for Draugen there in 1987. Kristiansund was chosen by the government in 1975 as the main supply base for offshore operations on the Halten Bank in the Norwegian Sea, which was opened for oil activities four years later (see the article about opening the northern NCS). With the port as the natural starting point for exploration drilling, the need also arose to transport personnel to and from the rigs. 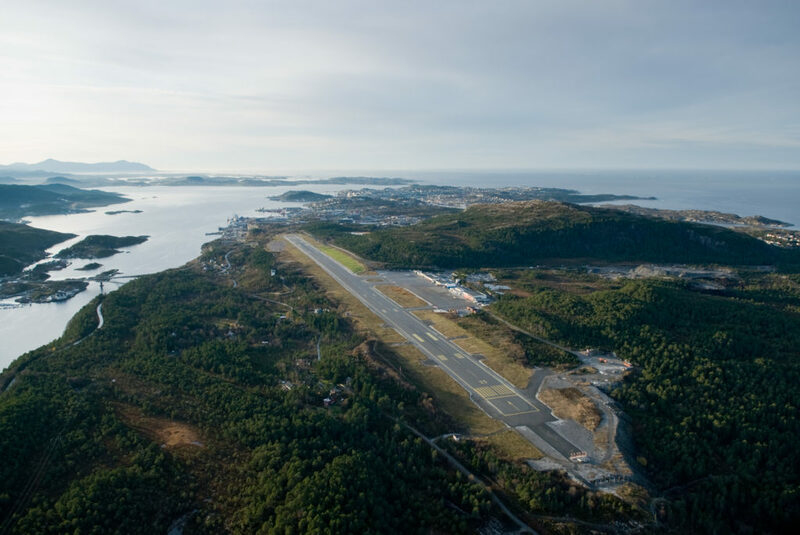 The choice of site fell on Kristiansund Airport Kvernberget. Norway’s Saga Petroleum, as the first company to spud a well in the Norwegian Sea, was contacted at an early stage by Norway’s Helikopter Service company about crew transport. A collaboration agreement was established in February 1980, and the first flight offshore from Kvernberget went to Saga’s Byford Dolphin rig on 30 June 1980. A Sikorsky Bell 212 machine had the honour of performing this maiden trip. Conditions were poor for both staff and passengers in the early years. Operations began with some prefabricated huts to serve as warehousing, offices, lounge and departure hall. A local subcontractor handled cargo and passengers. Helikopter Service was reluctant to invest in better facilities, given the uncertain prospects. [REMOVE]Fotnote: Hegerberg, H. (2004). Et stille diplomati : Oljebyen Kristiansund 1970-2005. Kristiansund: Kristiansund kommune: 128. As activity increased, however, more permanent installations became necessary. The first helicopter terminal opened in 1981, a temporary structure where the one machine allocated by the company was stationed. [REMOVE]Fotnote: Kristiansund Airport Kvernberget. Documentation for archival conservation. 2010. A 750-square-metre hangar with space for two helicopters stood ready the following year. That made it possible to do maintenance work on the machines in situ. A 200-square-metre office and workshop wing was also added. [REMOVE]Fotnote: Romsdalsposten. (1982, 13. august) Start på noe som kan vokse seg større. The level of activity increased steadily over the next three years, and Helikopter Service invested in new helicopters. It now had two stationed in Kristiansund. [REMOVE]Fotnote: Tidens Krav. (1984, 8. september) To helikoptre på Kvernberget. A peak year in this period was 1985, characterised by substantial exploration and drilling work off the Møre and Trøndelag coasts. That was followed by a period from 1986 to 1990 when activity fluctuated. 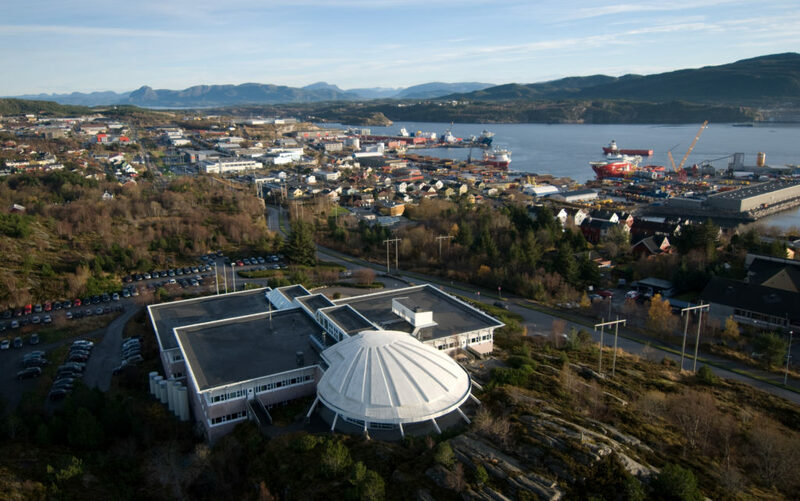 The Storting (parliament) came to the rescue in 1987 by selecting Kristiansund to host the heliport for Draugen as well as the supply base and operations office. The town also landed the base and helicopter transport functions for Heidrun. Norske Shell entered into a three-year deal with Helikopter Service in 1992 for personnel and cargo flights to and from Draugen, with options for extensions. More correctly, the contract was actually awarded jointly with Conoco – the first time two oil companies entered into a shared agreement on helicopter transport of freight and passengers on the Norwegian continental shelf (NCS). Worth NOK 85 million, this job was the largest single offshore contract awarded in Kristiansund until then and allowed Helikopter Service to increase its workforce. New personnel were recruited and staffing at the heliport increased from 13 to 18 people. [REMOVE]Fotnote: Adresseavisen. (1992, 19. mai) Økt virksomhet i Kristiansund. Installation of the Draugen platform began in 1992, sparking a sharp increase in traffic. A total of 14 000 passenger journeys were made between Kvernberget and the offshore installations during 1993, making it the third busiest heliport in Norway.And a new helicopter terminal was built in the same year at a cost of almost NOK 15 million. Although Kvernberget has functioned as the heliport for the Halten Bank/Norwegian Sea since the first wildcat, this does not mean no battles were fought over who should play this role. Some bitterness was expressed in parts of Trøndelag further north in 1980 when Saga picked Helikopter Service and Kvernberget to provide its offshore helicopter services. It was claimed in several quarters that the Ørland air force base in Sør-Trøndelag county, with its up-to-date outfitting, would have been a more sensible choice. “It is astonishing, to put it mildly, that one of northern Europe’s largest and most modern air stations should not be considered relevant as a heliport,” commented Arnfinn Astad from Bjung at a meeting of Sør-Trøndelag’s local authorities. “Nowhere else can match Ørland for the regularity of departures. I believe time will show that a great many of the flights supposed to land at Kvernberget will actually fly via Ørland.”[REMOVE]Fotnote: Adresseavisen. (1980, 20. mai) Ørland bør bli helikopterbase. Parts of Sør-Trøndelag could have done with the economic benefits a heliport would provide. But Saga stuck to its guns and maintained that Kvernberget was the most practical option. This was both because of its proximity to the supply base and not least because the Kristiansund airport had a better-developed network of air services than Ørland. Nevertheless, the latter did not give up. It got help from Sør-Trøndelag county council, which followed up the issue and proposed Ørland as a heliport to the Ministry of Transport and Communications. But the latter joined with the Ministry of Petroleum and Energy in giving the thumbs down. It argued that Kvernberget had fulfilled the heliport function satisfactorily, and that no grounds therefore existed for moving elsewhere. [REMOVE]Fotnote: Adresseavisen. (1984, 6. juni) Ingen Base på Ørlandet. Several other candidates eventually joined the fray. A recurrent candidate over the next few years was Trondheim Airport Værnes. Even before the location of operations, supply services and heliport for Draugen was debated in the Storting, the struggle between Møre og Romsdal county and Trøndelag was in full swing. The battle was not only over helicopter flights but also covered all other land-based operations related to oil fields off Møre, Trøndelag and Nordland county. Norske Shell had made it clear that the company wanted everything to lie in Kristiansund. Since oil from Draugen would be brought ashore by shuttle tanker, a production landfall was not an issue. Statoil employees at Stjørdal near Værnes took up arms in 1998 with a request that the company began using their local airport as its main base for helicopter flights to/from the Norwegian Sea. Downgrading the heliports at Kristiansund and Brønnøysund further north to mere support functions would make it easier for the Statoil personnel to get to and from the fields. At the same time, offshore workers from parts of the country beyond mid-Norway would find travel to Værnes easier since its network of flights was better developed than at Kvernberget. An important argument supporting this request was safety, with Værnes said to have greater aviation technology expertise than the Kristiansund facility. But the proposal was countered precisely on safety grounds. A shift to Trondheim’s airport would mean flying further over land, which could increase the threat of icing. A report on helicopter transport off mid-Norway had been commissioned from the Sintef research foundation after the Norne accident. [REMOVE]Fotnote: A Helikopter Service machine en route to the Norne production ship crashed in the Norwegian Sea about 100 nautical miles west-north-west of Brønnøysund in 1997. The two pilots and 10 passengers were all killed. This study concluded that the safest option was to fly from either Kvernberget or Brønnøysund. Distances from these two heliports to the installations were also shorter than from Værnes. [REMOVE]Fotnote: Adresseavisen. (1998, 5.mai) Sier nei til helikopterbase på Værnes. But the adherents of the latter did not give up so easily. Criticism continued to be voiced about the facilities at Kvernberget. The terminal was small and old-fashioned, and it was nicknamed “Venteberget” (Waiting Hill) – a hopeless place to relax during waits because of a lack of seating. Norway’s Braathens Safe airline discontinued its service between Kristiansund and Trondheim in 2000, giving fresh ammunition to the Værnes campaigners. Without direct flights, it would be very difficult and extremely expensive for oil workers from Trøndelag to reach the Halten Bank. They had to fly to Kristiansund via Oslo Airport Gardermoen. [REMOVE]Fotnote: NRK. 2002, 30. mai) Ønsker helikopterbase på Værnes. Former Centre Party leader Johan J Jakobsen now threw himself into the fray. He put a direct question in the Storting to Olav Akselsen, Labour’s petroleum and energy minister, about the possibility of helicopter flights from Værnes to the Halten Bank. Jakobsen emphasised that lack of direct flights to Kristiansund could prevent Trøndelag fabricator Aker Verdal competing for offshore operational and maintenance work. He added that Værnes would not conflict with the Kvernberget heliport, but serve as a supplement. Akselsen’s response was clear: “Where these issues [the plan for development and operation] are concerned, the government and the operator have decided that helicopter services should be allocated to Kvernberget. That decision stands.”[REMOVE]Fotnote: Written question from Johan J Jakobsen (Centre Party) to the minister of petroleum and energy. Document no 15:333 (2000-2001). Submitted 6 April 2001 – answered 24 April 2001 by petroleum and energy minister Olav Akselsen. Despite the clear statement from the ministry that relocation of the heliport was out of the question, the oil workers pressed yet again for its transfer to Værnes. They saw a fresh opportunity when the Labour government was replaced by a non-socialist coalition and Christian Democrat Einar Steensnæs became the petroleum and energy minister. Several unions asked him to take a new look at Værnes as a base for helicopter flights, but yet again without success. Throughout these various rounds over location, Kristiansund and northern Møre fought back with everything they had. That reflected the importance of the heliport for town and region. The position of the heliport to serve oil and gas fields in the Norwegian Sea was enshrined in the licence terms approved by the Storting. Nevertheless, as outlined above, repeated attempts were made by politicians, business interests and oil workers in Trøndelag and Nordland to get this role moved elsewhere. But all these efforts ended up the same way – petroleum and energy ministers have specified, regardless of their political complexion, that the terms set by the Storting remain unchanged. The oil companies operating in the Norwegian Sea have had the same attitude. Norske Shell has also sided with Kristiansund and made it clear that transferring helicopter services or sharing these with Værnes would be unacceptable. Such support from the operator company and other business players has been important in preserving Kvernberget as the heliport. But something had to be done about the helicopter facilities at the airport. It lacked sufficient capacity, having been originally built for around 18 000 passengers a year. By 2005, offshore workers were making almost 70 000 trips annually between Kvernberget and the oil installations in the Norwegian Sea. Planning of a new heliport began as early as 2000, but nothing concrete happened. Kvernberget was finally incorporated in airport owner Avinor’s long-term plans in 2008, but these also suffered delays. A new runway and a new operations building were completed in 2012. However, a joint terminal for the airport and heliport remains to be constructed. Plans in late 2017 called for work to start on this building in 2018, and the dream is to have it ready for the 50th anniversary of Kristiansund airport in 2020. His jeremiad was prompted by rising unemployment and constant new warnings of lay-offs and redundancies from Kristiansund’s business community. But it also formed part of an effort to get the government to pay attention to the town. The struggle over where Shell would place its Draugen operations organisation was still not over. 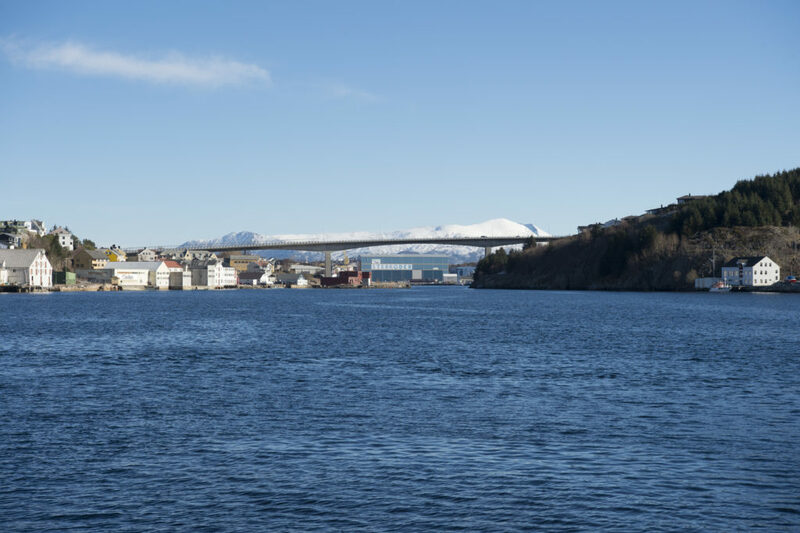 According to the mayor, only oil could save the community – along with bringing forward work on linking Kristiansund to the mainland, considered one of Norway’s largest highways projects. Both depended on the Storting (parliament), which was about to decide on the location of the operations organisations and supply bases for the Draugen and Heidrun fields. Kristiansund was very hopeful of winning the battle, but the mayor’s gloomy picture of the town suggests victory could not be regarded as a foregone conclusion. It appears that the local council’s bleak tone was intended to put pressure on the Storting so that it would give Kristiansund favourable treatment. At that time, the town was spread over three islands without a connection to the mainland. However, the Krifast project to establish such a link had already been approved. When the Storting gave it a green light in 1985, this ranked as one of Norway’s biggest communication schemes to date. That had naturally been welcome. But the problem was that construction work was not scheduled to start until 1990. Kristiansund wanted to force the pace as a means of boosting local employment. This reflected several factors, but a key role was played by a general economic downturn. The position for jobs had not been so bad for more than a decade. Kristiansund was among the towns to be hardest hit, with unemployment in September at 5.7 per cent and fears that it could reach 10-14 per cent. Only three small labour exchange districts elsewhere reported worse figures. The town was used to cyclical fluctuations, having lived with them since it acquired municipal status in 1742. But this time the contraction was not confined to a single sector – “the misery is unfolding across the board,” as the mayor put it. After buoyant times in 1982-85, the trend for Kristiansund’s economy had reversed. Pay rises and new investment had driven things astray, and the town’s ability to show restraint in boom times had failed to manifest itself. The council had spent heavily on construction, pushing its budget up from NOK 50 million to NOK 74.7 million and leading to a dramatic overspend in 1987. Another unforeseen cost was the new collective pay deal negotiated between unions and employees. A 2.5-hour reduction in the working week to 37.5 hours had proved expensive. The council’s social services had also seen a big rise in demand, and cost overruns occurred in the central administration as well as in schools, health care and commercial operations. Not everyone was pleased at the attention Jensen and Kristiansund had secured in the national media. Dagbladet, for example, had drawn up a “death list” of companies which had fired or laid off all or part of their workforce. The impression was that the end was near. One of those who took a dim view of this was Asbjørn Jondal, a former mayor and now editor of local daily Tidens Krav. In a leader, he maintained that presenting Kristiansund as a town in crisis undermined its opportunities. He described the propaganda as “PR own goal of the worst kind”, and argued that the council leadership had deliberately given Dagbladet negative information as part of efforts to bring oil operations to the town. The paper’s story had been written to order by the council and deliberately painted a gloomy picture, Jondal claimed. It was hardly attractive for new industry to set up shop in a town where the death rattle was drowning out hopeful arias. While the media offensive was a conscious effort by the council to court central government, it is questionable whether enough thought had been given to the possible consequences. The claims were in sharp contrast to the message communicated by the Kristiansund and Environs Marketing (KOM) board that March – in the form of an offensive in Dagbladet. Under the slogan: “Kristiansund – town of tomorrow”, this large-scale advertising campaign had aimed to persuade people to move to the town. It claimed skilled personnel would be in great demand there in the future, and boasted of optimism in local industry and huge building work. “The one thing leads to the other,” it asserted. [REMOVE]Fotnote: Dagbladet, March 1988. It was also noted that Sterkoder, the town’s biggest shipyard and employer, had full order books and that Kristiansund could offer an exciting job market. In other words, just months before the mayor’s horror story, the council had spent time and effort on marketing the town and its opportunities. That contrasts glaringly with the death list in the same paper six months later. This catalogue was topped precisely by Sterkoder, which had recently had to lay off 40 people. Although the company was struggling, like most other yards, it objected to being put on the death list and denied that it belonged there. A number of workers had admittedly been laid off, but the yard remained Kristiansund’s biggest employer. The gloomy picture must be regarded as a cry for help from Jensen. But a number of people questioned why the council itself was not taking some action. 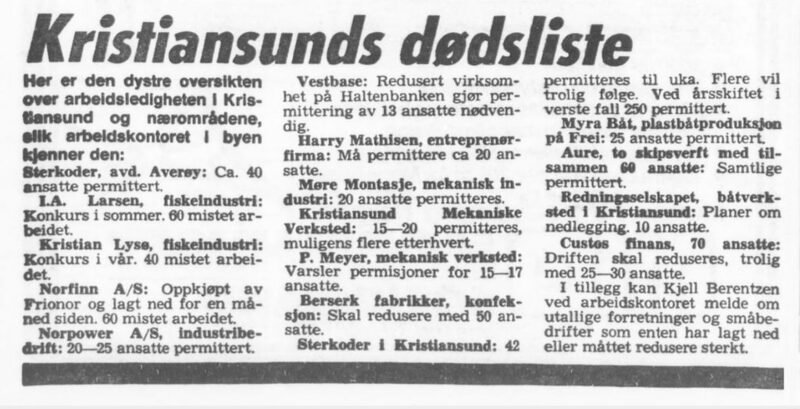 The crucial importance of encouraging a varied commercial sector in Kristiansund was emphasised at an industry policy conference held there on 21 September 1988. Oil would not be enough to save district and town, it was said. Pessimism was sharply rejected, with crisis maximisation failing to lead to anything positive. Instead, Kristiansund had to highlight all available advantages and opportunities, particularly in the fishing sector and especially in fish farming. 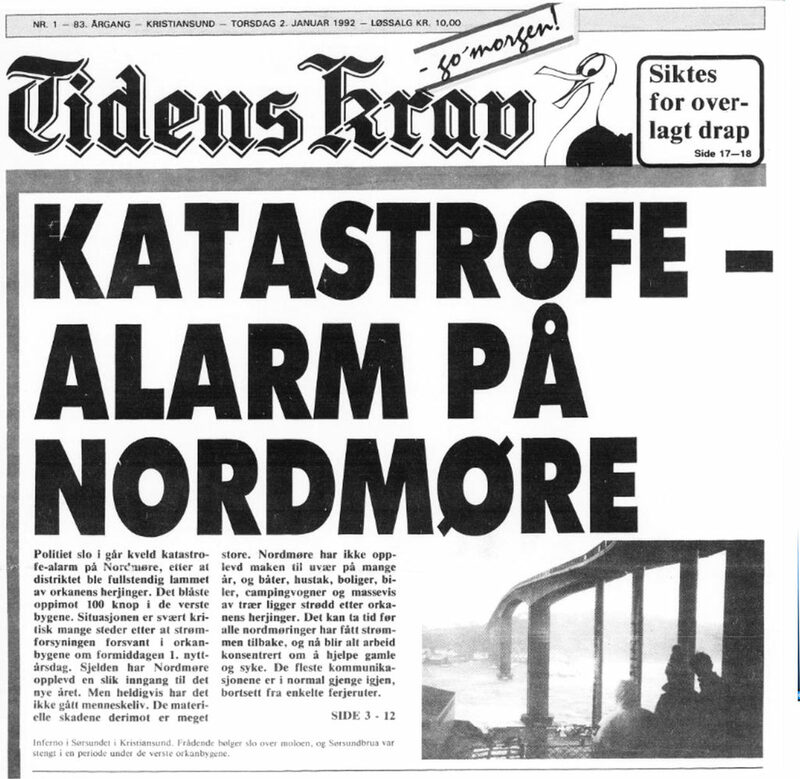 [REMOVE]Fotnote: Tidens Krav, 22 September 1988, “Oljen redder ikke Nordmøre”. The oil price slump in 1986 should have given the petroleum optimists pause for thought, conference participants argued. Politicians as well as industry should grasp the need for change. Four drilling rigs were laid up in Kristiansund during 1987 – a sign of quiet times on the NCS. Exploration activity in the Norwegian Sea had declined, and the industry faced a downturn. Whatever side people found themselves on in the discussion over how Kristiansund should be marketed, most agreed that the town faced a crisis. That was clearly demonstrated when chief administrative officer Anton Monge presented his 1989 budget. The first draft envisaged savings of NOK 9 million. One proposal was to shut down the cultural department as an independent unit. The library would only open three days a week. Monge also proposed cutting the council workforce by 55 work-years. A lot would need to be restructured, but he also had to ensure that the council did not suffer a financial shipwreck. Three weeks later, he presented new shock figures which showed the need for a further NOK 11 million in cuts. Spending on social welfare had increased far more than allowed for in the budget. Cash grants and rent support had risen dramatically. New social security arrangements required extraordinary payments from the council. The money was to be deducted from the council’s tax revenues, and the amounts involved had increased sharply when the central government budget for 1989 was presented. In addition to general spending cuts and downsizing by the council, the deficit was to be covered by selling some of the council’s buildings and raising property tax. Kristiansund was not the only local authority to be struggling in Norway. An economic state of emergency prevailed throughout the country. Two days after the article prophesying a “ghost town” had appeared, local government minister Kjell Borgen promised help to Kristiansund. He aimed to put a stop to the negative trend. In its 1989 budget, the government decided to bring forward the Krifast project by a year so that work could begin in the spring of 1989. [REMOVE]Fotnote: Ministry of Transport and Communications. (1988) For budsjettermin 1989. Proposition no 1 (1988—89) to the Storting. This was good news for Kristiansund. Such a big construction project would generate many new jobs and income for the local authority. The Nordmøre district also hit the jackpot when the central government budget was presented on 4 October 1988. NOK 4.6 million was appropriated for extraordinary job creation measures, which meant work and training programmes for 500 people. Frei and Averøy local authorities came off best, while Kristiansund got little because it could not afford to meet its share of the cost. The government took the view that the council had done too little to help get people into work. But even crises come to an end. In December 1988, Kristiansund was chosen as mid-Norway’s oil centre, with the supply base for Draugen and Heidrun and the Draugen operations organisation. And the bridging and tunnelling work designed to connect the town to the mainland indeed got under way the following spring. Perhaps the best Christmas present the town could have got arrived on 23 December, when Sterkoder secured a contract worth billions of kroner for 15 trawlers. That meant the future looked bright for the company, for the 700-800 people who could expect jobs – and for the council’s tax revenues. The “ghost town” was headed for brighter times, Jensen told Tidens Krav’s readers on 29 December 1988. The “ghosts” have been driven away. In their place come oil bases, the operations organisation for the Draugen field, a connection to the mainland, the Averøy tunnel. Cornerstone company Sterkoder is assured of full employment for four years to come. Not even spending on the winter Olympics in Lillehammer [in 1994] can compare with the investment to be made in the Kristiansund district over the next few years. People will now be getting back into work. [REMOVE]Fotnote: Tidens Krav, 29 December 1988, “Harde tider, men bedring i sikte”. Part of the answer can be traced back to one of the major international political issues of the 1970s and 1980s – the apartheid regime in South Africa. This systematic implementation of racial segregation was adopted after South Africa’s 1948 general election, but had roots which extended back to the 17th century Dutch colonists in the country. Eventually attracting wide international attention and condemnation, apartheid was maintained through a number of laws which defined four main race-based groups in the country. [REMOVE]Fotnote: Apartheid is the word for segregation in Afrikaans, a Dutch-based language spoken by part of the white population of South Africa and Namibia. In hierarchical order, these were whites (descended from Europeans), coloureds (mixed white and black), Asian and black. The first had all the privileges, while the black majority were denied any political and economic rights. Conditions in South Africa after 1948 attracted little interest at first. However, a number of dramatic incidents during the 1960s and 1970s drew foreign attention. That applied particularly to the Sharpeville massacre in 1960, when 69 black people were shot – mostly in the back – and killed by the white police. The victims were taking part in a demonstration against new pass laws which would greatly increase restrictions on black freedom of movement. This event attracted much international attention, and scepticism around the world about South Africa’s system of government increased. The African National Congress (ANC) was the first organised mouthpiece for the black population, and its leader, Albert Luthuli, won the 1961 Nobel Peace Prize for his work against apartheid. A new massacre in 1976, when police again opened fire on protesting crowds and killed hundreds of black youngsters, increased pressure on the South African regime. This incident followed an uprising in Soweto, which began as a peaceful protest by young blacks against poor schools and the imposition of Afrikaans as the medium of instruction. The conflict hardened during the 1980s, when the regime became strongly militarised and black resistance was rigorously suppressed. A state of emergency ran from 1985 until apartheid ended in 1990. South African bishop Desmond Tutu was awarded the Nobel Peace Prize in 1984 for his work to promote black rights. Like Luthuli, he also called loudly for the West to impose economic sanctions. The Soweto uprising is regarded as a turning point in the fight against apartheid, both nationally and internationally. In 1975, the UN general assembly voted to exclude South Africa from all organs of the world body, and a resolution calling for an arms embargo was adopted. The international solidarity movement was also aroused, and put the fight against the racist state at the top of its list. Churches and trade unions mobilised worldwide. More than 2 000 foreign companies were represented in South Africa at the time. They included Royal Dutch/Shell, heavily involved in local mining through its Shell South Africa arm. Because of this presence, the group was among the enterprises which came in for heavy criticism. A number of organisations launched a campaign in the early 1970s against what they saw as Shell’s support for the apartheid regime. But the real explosion in the world’s media came in the mid-1980s, with an international consumer boycott of Royal Dutch/Shell launched in 1985. People were urged not to fill up at the group’s service stations, while communities worldwide were asked to reject tenders from Shell to deliver oil or other commodities. A number of countries also changed their official policy towards the apartheid regime during this period. Denmark passed a unilateral boycott Act in May 1986. The European Community (precursor of the EU) introduced a ban on importing South African iron, steel and gold coins in September of the same year. In October, the USA adopted the most extensive legislation when Congress overturned President Ronald Reagan’s veto and approved a virtually total boycott. Where Norway was concerned, the campaign fuelled a desire for the country to be a champion of the anti-apartheid struggle. The question was not whether but how it would oppose the regime. Opinions in the international community were divided, and a unilateral Norwegian boycott was not considered likely to have much effect. In an effort to strike a balance between a desire to act and concern for Norway’s economic interests, the Labour government headed by Odvar Nordli reached a “gentleman’s agreement” in 1979 with oil companies operating on the Norwegian continental shelf. This deal was characterised as “an understanding between the government and the companies exporting oil produced in Norway that Norwegian crude would not be delivered to South Africa”. Nevertheless, the Storting (parliament) passed an Act imposing an economic boycott of South Africa in 1987. By then, a number of countries had introduced sanctions against the apartheid regime. This legislation prohibited trade in commodities between Norway and South Africa as well as trade in goods and services with companies or individuals based in the apartheid country. Shipping, with the exception of crude oil transport, remained unaffected on the grounds that the South African market was of limited significance for Norwegian shipowners. However, restrictions on sailing to South Africa would be highly significant for certain companies. Calls there formed part of a more extensive sailing pattern where profitability depended on continued calls at South African ports. But the government’s stated position was that an official boycott of Norske Shell was not on the cards. It would only act against an individual company if it broke Norwegian law. Although the issue of a government ban on Norske Shell was raised in the Storting several times, the response was always the same. Many Norwegians were involved in the public debate on boycotting the apartheid regime. While central government debated a national response, several local authorities took independent action. About 10 of them supported the sanctions call – including Trondheim. As early as 1985, the city council resolved that its agencies and institutions would not buy or advertise for South African products. They also aimed to avoid collaborating with companies which had financial interests in the country, and to promote information on, understanding of and knowledge about the position there. [REMOVE]Fotnote: Adresseavisen, 19 February 1985, “Interpellasjon om Sør-Afrika”. Trondheim’s city council resolved to postpone a land sale to Norske Shell indefinitely. Nor would it take up loans from the oil company. All existing agreements and contracts with Shell were to reassessed and where appropriate cancelled. This decision was as close as it could be to a straight boycott of the company without actually using that word. [REMOVE]Fotnote: Hermann Hansen, “Brudd med Shell”, Adresseavisen, 30 April 1987. “Indefinitely” was interpreted to mean until apartheid ended. In formal terms, the boycott applied only to the purchase of land for a new service station and financial support for highway construction – which delayed a new road and boosted its cost. But the move was to have far wider consequences. Norske Shell was to develop Draugen in the Norwegian Sea and to decide where to locate the operations organisation and supply base. While Trondheim’s sanctions were probably not crucial for Shell’s decision, they had a negative effect. The company did not feel welcome in the city. The government had already signalled strongly that Vestbase in Kristiansund would be selected as the main supply base in mid-Norway. But the fight over the operations organisation remained a three-way struggle between Kristiansund, Stjørdal and Trondheim, with close to 300 jobs and other spin-offs at stake. Passed by 50 votes to 33, the Trondheim council decision was controversial. Nationally, the Norwegian Confederation of Trade Unions (LO) was not recommending a unilateral boycott of Shell. The union movement maintained that its views on the apartheid policy were best promoted through direct consultations with the oil company. And the effect of such embargoes on South African policy was not the only factor. Securing jobs from locating offshore activities to Trondheim also had to be taken into account. The city council reversed its decision on a unilateral sanctions of Norske Shell as early as August the same year. After a tough debate, it voted 47 to 38 to restore normal relations. After backing the boycott vote in the previous round, the Labour Party on the Trondheim council now divided into two equal blocs on the issue. [REMOVE]Fotnote: Hermann Hansen, “Ingen Shell-boikott”, Adresseavisen, 28 August 1987. But this turnaround was not enough to mollify the company when it presented the plan for development and operation (PDO) of Draugen on behalf of the licensees in September 1987. Submitted to the Ministry of Petroleum and Energy, this recommended that the operations office and supply base for the field should be located in Kristiansund. Fifteen months later, on 16 December 1988, the Storting’s standing committee on industry and energy presented its final recommendation on the issue. This built on Norske Shell’s proposals, with both office and base in Kristiansund. Trondheim had thereby lost the battle and failed to secure the revenues and jobs which would have accompanied a direct involvement in developing a Norwegian Sea oil field. But the city was not left entirely empty-handed. Shell decided to establish an industry office there in 1988, after the council had again voted to drop its boycott of oil companies with economic activities in South Africa. Following that decision in March 1988, it was alleged that some councillors had known in advance of the Shell plans. These were not announced until after the council had voted. Rosenborg, the popular local football club, also benefitted from oil-based support when Norske Shell became its principal sponsor. Trondheim was not alone in voting to boycott Norske Shell. A number of Norwegian local authorities responded to the call and resolved to cease cooperation with the company. Both Oslo and Kristiansand decided to sever ties with enterprises which had interests in South Africa, including BP, Mobil and Texaco as well as Norske Shell. Oslo’s boycott did not last long. Just six months later, after a long and emotional debate, the council voted to abandon sanctions against Shell, Mobil and BP from August 1987. [REMOVE]Fotnote: Egil Wettre Johnsen, “Oslo-boikott av oljeselskaper oppheves”, Aftenposten, 3 March 1988. That meant the city resumed normal commercial relations from that point with these companies. [REMOVE]Fotnote: Akkurat nå … house journal, no 7/88. The ban imposed by Kristiansand council in March 1985 was also overturned in September 1988. [REMOVE]Fotnote: Fædrelandsvennen, 9 September, 1988, “Oljeboikott opphevet”. But criticism of Shell’s presence in South Africa persisted, and flared up again after the World Council of Churches urged 400 million Christians to boycott the company in August 1988. Shell found itself in a moral dilemma. It took an active stand in opposition to apartheid and was committed to working for its termination as soon as possible with minimum use of force. On that basis, the company believed it had to be possible to differ over which policies and strategies were best suited to opposing the regime. It maintained that great disagreement prevailed among opponents of apartheid, both in South Africa and globally, over which measures were most effective in undermining the system. 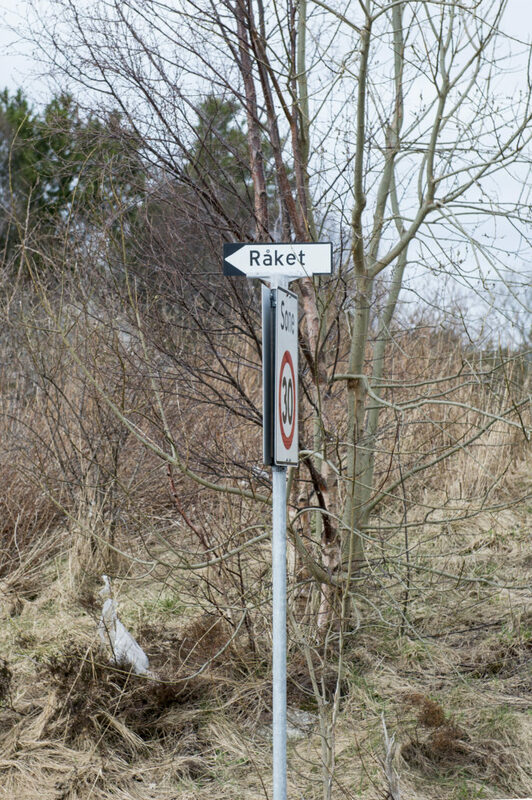 [REMOVE]Fotnote: Akkurat nå …, no 26/88. Shell noted that it had been in South Africa for decades, and had a policy that the international group would not become involved in national politics. It complied with national law in the countries where it operated. The group also argued that the Shell South Africa subsidiary pursued a progressive social policy. If it left the country, the government would take over its operations, worsening conditions for the black workforce. Norske Shell perceived the campaign against the group as unfair, perhaps with justification. It stated: “Through its position as a subsidiary of a foreign parent company, [it] is in exactly the same position as about 2 000 similar western industrial and trading companies”. [REMOVE]Fotnote: Akkurat nå …, no 7/89. The group maintained a difference existed between Shell in South Africa and Norway. The latter was a subsidiary of Royal Dutch/Shell and a Norwegian limited company which operated in accordance with Norwegian law. No business links existed between it and South Africa or that country’s Shell arm. At the time, Norske Shell had 1 200 employees in exploration and production of petroleum and refinery operation, as well as more than 500 service stations operated by independent dealers. These people were also affected by popular opposition to Shell, which included harassment and bullying of employees as well as vandalism and sabotage. A group calling itself “Shy Young Heroes” threw a Molotov cocktail through a window at a Shell service station in Oslo during August 1987. The head office in the capital was also vandalised on the same evening, and an attempt was made to set fire to another station a week later. [REMOVE]Fotnote: Aftenposten, 27 August, 1987, “Trussel om flere aksjoner”. A proposed agreement between the Football Association of Norway and Norske Shell fell through, despite offering commercial benefits for both sides. It transpired that the association was not prepared to enter into a collaboration with the oil company because of fears that this would cause internal discord. At the same time, the Norwegian federations for skiing, handball and tennis had deals in place with Mobil, Conoco and BP respectively. The Norwegian Confederation of Sports took the view that Shell was not in a special position, and had no objections to a possible agreement between the company and the footballers. Depths of 300 metres or more had encouraged a preference for subsea development solutions, and a number of fields in this part of the NCS utilised these during the 1990s. Seabed wells for oil and gas production as well as for water and – temporarily – gas injection were already installed on Draugen when it came on stream in 1993. Heidrun, with Statoil as operator once production began in 1995, had a concrete-hulled tension-leg platform (TLP) positioned over a subsea well template. The northern part of this field was also developed later with seabed installations. And Smørbukk, Smørbukk South and Midgard – operated by Statoil as the unitised Åsgard field – were brought on stream in the 1990s with the aid of seabed wells. These are tied back to the Åsgard A floating production, storage and offloading (FPSO) unit and the semi-submersible Åsgard B platform for processing gas and condensate. All these projects called for base facilities and subsea technology expertise. So did laying the Haltenpipe gas pipeline from Heidrun to Tjeldbergodden north of Kristiansund in 1996-97. Even more extensive was the huge Ormen Lange development in 850-1 100 metres of water, where unprocessed production is piped directly to Nyhamna between Kristiansund and Molde to the south. After processing there, gas from the field is transported on through the Langeled export pipeline to the UK, which was completed in 2007. Kristiansund’s Vestbase offshore supply facility was perfectly positioned to support exploration operations on the Halten Bank when these began in the 1980s. [REMOVE]Fotnote: Hegerberg, 2012: 79–82. Harbour conditions were good, and the base was the closest point on land from the fields in this part of the NCS. It provided supply, logistics and servicing for units in the Norwegian Sea. Securing the operations organisation for Draugen and the base function for Heidrun meant that Kristiansund could truly call itself an oil centre. That was reinforced when Norsk Hydro decided to position its operations organisation for Njord in the town. This field came on stream in 1997 from a semi-submersible drilling and processing platform tied to subsea wells. [REMOVE]Fotnote: Hegerberg, 2012: 84–86. Statoil took over this organisation after merging with Norsk Hydro’s oil division in 2007. But Shell was much more important for Kristiansund, with 60 employees at its Råket office and 120 working an offshore rotation on Draugen. [REMOVE]Fotnote: Project assignment on value creation in the Draugen operations organisation, management programme, BI Norwegian Business School, 1998. Hydro’s local team totalled just 15-20 people. Developments on the Halten Bank in the 1990s and beyond called for relatively substantial support, and suppliers in the town specialised in underwater services – such as pipelaying and advanced subsea technology. Companies at Vestbase provided servicing and maintenance for subsea facilities, while large service firms opted to open branch offices and workshops there. Subsea 7 was one of the earliest players to become established at the base, and had been operating in Kristiansund since 1985 until the oil slump in 2016 put a temporary halt to its business. Kongsberg Offshore Subsea, now TechnipFMC, opened service shops in the early 1990s to provide installation and operational support for Draugen. Vestbase was later expanded to handle maintenance of subsea equipment for Statoil’s Norne, Åsgard, Kristin, Heidrun and Mikkel fields, including mobilisation and demobilisation of equipment. Subsea facilities for the Ormen Lange field operated by Shell have also been maintained from TechnipFMC’s service shop in Kristiansund. [REMOVE]Fotnote: Iris report 2013/031: 134. Stavanger-based Subsea Services established a workshop as well as plant and coating services at the base, offering surface treatment to the strictest Norsok standards. Fotnote: www.subseaservices.no/category/department/kristiansund 12 December 2017. Up to 2014, great optimism prevailed about what subsea technology could bring to Kristiansund in the form of commercial activity. A feeling prevailed that easy money was to be made here. That impression was entrenched after two entrepreneurs, Olav Kvalvåg and Terje Fagervold, sold GTO Subsea to America’s Oceaneering for NOK 210 million in 2008. This Kristiansund company delivered solutions for trenching and moving bottom sediments to development projects in water depths right down to 1 700 metres. Based on a rock suction device with its own seabed pump, GTO Subsea started modestly in an attic room at Leira in Aukra local authority near Kristiansund in 1999. It had developed into one of the world’s leading suppliers in its speciality. [REMOVE]Fotnote: Tidens Krav, 5 March 2008, “GTO solgt”. Disappointment locally was great when Oceaneering moved the whole business and its associated jobs to Stavanger. [REMOVE]Fotnote: Tidens Krav, 3 September 2009, “Mister unik teknologibedrift”. But so many projects were under way in the Norwegian Sea that Kristiansund’s subsea community saw little reason to grieve for long. Statoil’s Tyrihans oil and gas field came on stream in July 2009, for example, as a complete subsea development tied back to existing Halten Bank facilities on the Kristin and Åsgard fields. The full impact of the crisis sparked by the oil price slump had still not made itself felt when the Norwegian Petroleum Society held an evening session on subsea in Kristiansund. The petroleum industry had little premonition of how low oil prices were about to sink, and of the scale of the downsizing and company mergers required in order to remain competitive. In the prevailing optimistic mood, the subsea business was expected to need many new people. Bergen’s Western Norway University of Applied Sciences, for instance, set up a separate underwater technology department in Kristiansund. It was intended to supplement existing engineering courses provided in this field both in Bergen and the offshore centre of Florø in Sogn og Fjordane county. Educating students in close collaboration with the industry and bases was seen as an advantage. The first student cohort started at the University College Centre in Kristiansund in 2015. As early as the following year, however, the number of applicants for this course was so low that it became too expensive to accept another cohort. This shift in the educational sector is typical of the subsea industry in general during 2014-17. After the euphoria of the 2000s, the sector has cooled considerably and shed many jobs. Nevertheless, subsea activity is likely to persist for many years to come. All the existing underwater wells in the Norwegian Sea will need maintenance, for a start. Moreover, a number of new developments currently in the pipeline will need assistance and competent personnel in the years to come. When we’re qualified, they’re screaming for our expertise. Subsea is also the future. Underwater installations are less vulnerable to wind and weather. They’re controlled from land, so you then need engineers rather than people like mechanics, for example. That view is supported by fellow student Daoud Musagoni. He points out that subsea is an international sector, and says he could well imagine working outside Norway. Subsea students Trygve Maridal Olsen (left), Daoud Musagoni and Serine Åndahl take a positive view of the future. Photo: Arild J Waagbø, independent webzine at Molde University College. — A/S Norske Shell, Statoil and BP Norway Limited U.A. They were Statoil, with a 50 per cent interest, BP Norway Limited UA with 20 per cent and A/S Norske Shell with 30 per cent. Shell was appointed operator. This award was made in Norway’s eighth offshore licensing round, when 14 such production licences were issued covering a total of 16 blocks to various companies and constellations. These holdings were spread for the first time across the whole Norwegian continental shelf (NCS), from the North Sea in the south the Norwegian Sea, and the Barents Sea in the far north. To the surprise of many, given the “Norwegianisation” policy of the day, foreign companies did well in terms of operatorships. Six of the 14 were secured by international players. The process of awarding a production licence usually begins with the Ministry of Petroleum and Energy (MPE) inviting the oil companies to bid for NCS blocks. 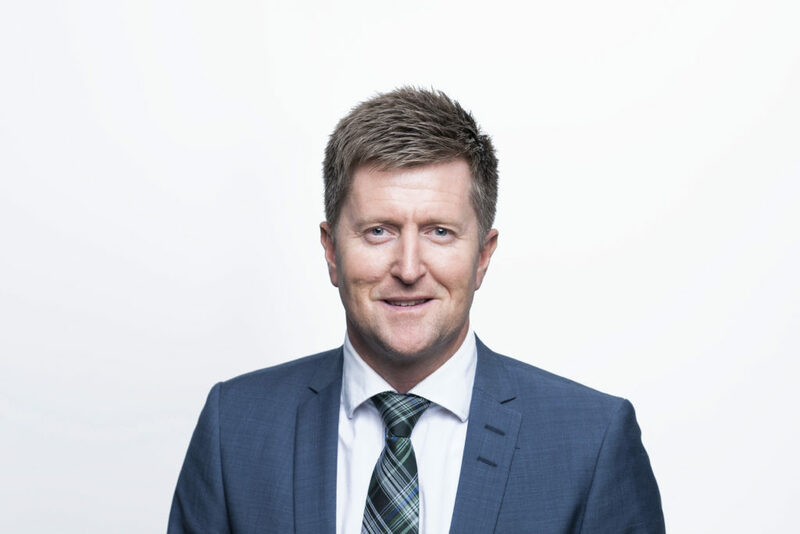 Acreage on offer is determined by the MPE, with the companies putting in bids for the blocks they regard as most attractive – either singly or in partnership with others. They assess blocks by the probability of making a discovery and how a licence would fit with their strategy. A company could, for example, apply in areas where they already have production. The MPE decides who gets a licence, and the share each partner will have in it. Costs and revenues are usually divided between the licensees on the basis of their relative equity interest. All fields on the NCS have several partners, with their different roles in the licence determined by the MPE. One is appointed operator. The latter has the job of organising exploration for petroleum as well as developing and operating a possible discovery – subject to the support and supervision of the other partners. An operator is usually the most experienced player in a licence. It must also have the resources, expertise and personnel needed to conduct all relevant operations and activities in line with the applicable regulations. The operator is therefore the partner in a licence with day-to-day responsibility for its activities. As mentioned above, Shell has fulfilled this role on Draugen. But the other licensees are not freeloaders. Although the operator handles everyday work, its partners are meant to contribute actively in ensuring it complies with the rules. Norway’s offshore regulations require them to support and challenge the operator, serve as a competent partners and see to it that activities are pursued in a prudent manner. Holdings in a licence can change over time through purchase and sale (farm in/out) of interests as well as regulatory changes. In Draugen’s case, a political settlement played a key role in the first adjustment of percentage shares in the field. A broad compromise on oil policy emerged in parallel with the eighth licensing round. 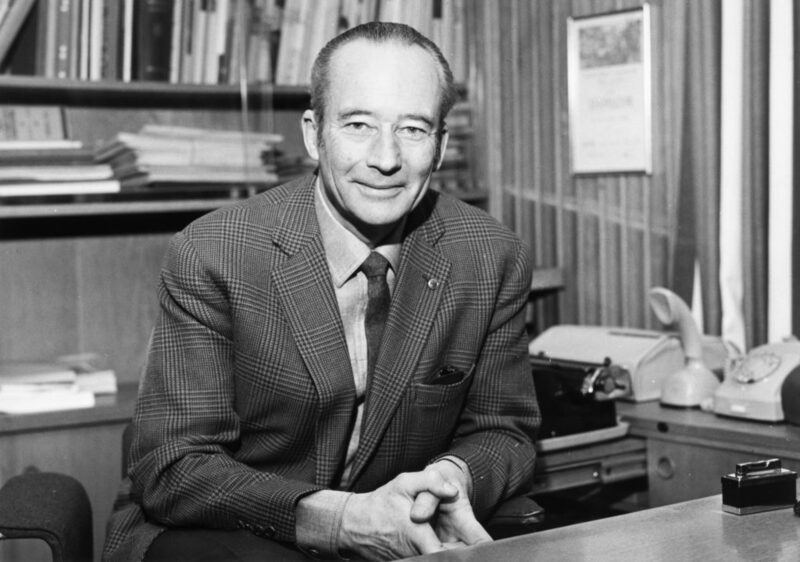 This involved the non-socialist coalition between the Conservatives, Christian Democrats and Centre Party under premier Kåre Willoch, and the opposition Labour Party. It settled a political controversy over the place of state oil company Statoil in Norway’s petroleum sector. Many people, particularly in the Conservative Party, felt it had become over-mighty. They also viewed its cash flow as excessive in relation to the country’s gross domestic product. The solution was to break up Statoil’s holdings, with a portion of them being transferred to a new legal entity called the state’s direct financial interest (SDFI). Established with effect from 1 January 1985, this had no direct responsibility for operations. Statoil was to manage the SDFI and handle its operational and commercial functions. The compromise aimed to create a model which would provide continuity for state participation in the Norwegian petroleum sector regardless of changing political conditions. Statoil’s interests in Draugen were among those split. The state still held 50 per cent, but that was now divided between 30 per cent for the SDFI and 20 per cent for the company. This change had little significance for the Draugen project during the early years. The government, through the SDFI, still had to meet part of the development costs earlier paid by Statoil. The direct consequence for Draugen operations was first felt in 2002, when another state-owned company took over management of the SDFI’s interest – which had risen to 47.88 per cent by then. Made necessary by the partial privatisation of Statoil in 2001, this moved transferred responsibility for the SDFI to the newly formed Petoro AS. The latter was given a commercial mandate, but with certain restrictions on its operations. It could not, for example, act as an operator for fields on the NCS. The first change in licence interests on Draugen came in 1988, when the state’s share in the field – split between Statoil and the SDFI – rose from 50 to 65 per cent. Shell and BP had their holdings reduced to 21 and 14 per cent respectively. This revision utilised a provision introduced with the third licensing round in 1974, which entitled the government to raise the state’s share in a licence. Exercisable once a plan for development and operation (PDO) had been approved, this “sliding scale” principle applied to all licences awarded on the NCS from the third round. Up to the eighth round, when the Draugen licence was awarded, the sliding scale provided that Statoil’s interest should depend on the size of plateau output from a possible field. Any increase in this level of production would mean that the state company’s share could be increased in accordance with the scale. When a licence was awarded, before exploration drilling began, great uncertainty prevailed about the size of oil and gas reserves a reservoir might contain and how far they could be recovered. These rules changed after the eighth round and the creation of the SDFI. With effect from the ninth round, the sliding scale was replaced by a government option independent of production. The PDO for Draugen was debated by the Storting (parliament) in the autumn of 1988, after it had been considered by the Ministry of Petroleum and Energy (MPE). According to a recommendation from the ministry, the plateau production of 90 000 barrels of oil per day (b/d) proposed by operator Shell should be increased to 110 000. This rise would have lifted the field to a new level on the sliding scale, where the increase in the state’s collective holding (Statoil plus SDFI) would go up from 65 to 75 per cent. That would have had a big negative impact on the private-sector companies in the licence. Shell and BP reacted sharply, and launched an effective lobbying campaign aimed at the Storting’s standing committee on energy and industry. The latter was chaired by Ole Gabriel Ueland from the Centre Party, which took a sceptical view in general to increasing production from the NCS. Rejecting the MPE’s proposal, the committee recommended instead that the plateau rate for oil output should remain at the 90 000 b/d set by Shell. But it also approved an increase in the state’s share of Draugen to 65 per cent, with 19.6 per cent allocated to Statoil and 45.4 per cent to the SDFI. As noted above, Shell and BP were reduced to 21 and 14 per cent respectively. The Storting accepted the committee’s recommendation. It voted to increase the state share in line with the approved production profile to 65 per cent at the expense of the foreign licensees. Statoil was therefore not affected. In its budget recommendation no 8 (1990-1991) to the Storting, the standing committee on oil and industry proposed abolishing the different treatment of Norwegian and foreign licensees. The sliding scale was later exercised again on Draugen. In recommendation no 197 (1994-1995) to the Storting, its energy and environment committee approved a new MPE proposal to increase the state’s holding from 65 to 73 per cent. [REMOVE]Fotnote: Energy and environment committee. (1995). Innstilling fra energi- og miljøkomiteen om utbygging og drift av Njordfunnet, fastsettelse av statlig eierandel for feltene Draugen og Brage samt orientering om Norsok-arbeidet. (Proposition no 54 to the Storting). Recommendation 197 (1994–1995) to the Storting. Downloaded from https://www.stortinget.no/no/Saker-og-publikasjoner/Stortingsforhandlinger/Lesevisning/?p=1994-95&paid=6&wid=aIb&psid=DIVL622. Norwegian membership of the European Economic Area now meant that discriminating between foreign and Norwegian companies was no longer possible. When the sliding scale was exercised in 1995, the SDFI therefore had to compensate the other licensees for past spending based on their percentage shares. The licensees agreed to this. The committee now accepted the government’s proposed increase in the state’s interest. For the sliding scale to take effect, however, plateau production had to rise again to 150 000 b/d. That was unacceptable to the Centre Party, which accordingly demanded the insertion of a dissenting comment in the committee’s recommendation. According to the party’s members, an overall assessment – including considerations of long-term resource management and the decision to stabilise carbon dioxide emissions – meant that the Storting should reject government plans to raise output. Members of the Socialist Left party also refused to support the proposal, but this secured the backing of a majority on the committee and later in the Storting. The government is not the only player who can contribute to changes in licence interests. Holdings in attractive licences can be bought or sold like shares in normal companies. Known as farming in or out of the licence, such transactions may reflect a desire by companies to streamline their operations and to concentrate on certain geographical areas. These changes in interests are important for improving recovery, since new licensees may see opportunities to extend the producing life of existing fields and reduce their costs. Holdings in licences can be swapped as well as traded, and changes in interests may also occur because licensees pull out, are taken over or merge with others. Oil companies differ over the potential and profitability of oil and gas fields, and the original licensees may sell their interests to others with a more optimistic view. The latter may take a different view of the reservoir, cost trends or the application of new technology which they believe will help maintain profitable production. All farm ins/outs and interest swaps must be approved by the government. A new company accordingly joined the existing licensees on Draugen in 1998, when Norsk Chevron acquired a 7.57 per cent holding from the government. In addition to the Chevron stake, Statoil/the SDFI had 57.88 per cent at 31 December that year, Shell was down slightly to 16.2 per cent and BP held 18.36 per cent. Three years later, Chevron and Texaco merged to form ChevronTexaco. The company’s name was changed back to Chevron in 2005, with Texaco as one of its brands. An event elsewhere had consequences for the division of interests on Draugen. 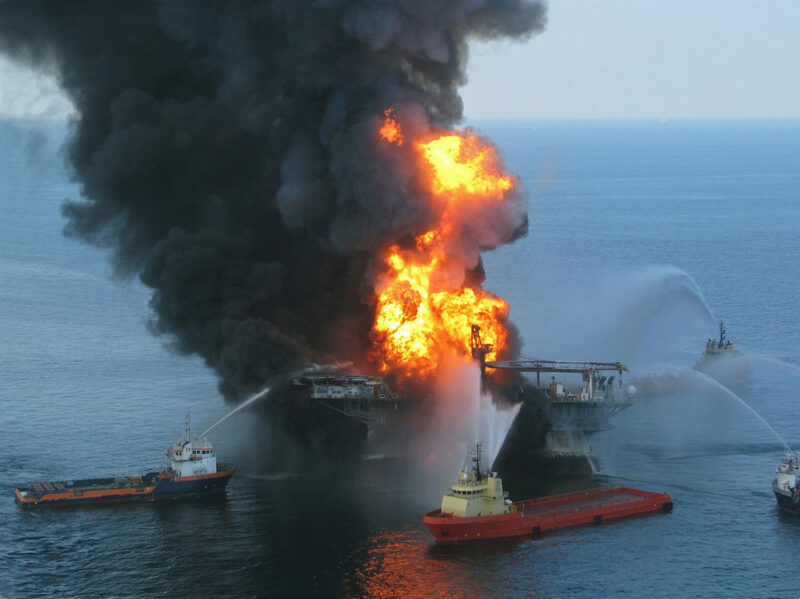 This began on 20 April 2010 with a gas blowout and subsequent explosion on the Deepwater Horizon drilling rig. Located on the Macondo field in the Gulf of Mexico, this event developed into a fire and caused the deaths of 11 people. Another 15-20 were injured. Oil flowed freely to the sea for 87 days, causing extensive environmental damage until the leak was stopped. BP was operator on Macondo, and had to pay tens of billions of dollars in compensation after the disaster. To meet this bill, it was forced to sell off assets. Norske Shell entered into an agreement in 2012 to acquire BP’s 18.36 per cent holding in Draugen, raising its share to 44.56 per cent. That left the division of interests at 31 December 2012, in addition to Shell, at Chevron with 7.56 per cent and Petoro – which secured the Statoil and SDFI holdings in 2002 – with 47.88. Two years later, it was Chevron’s turn to pull out. Its stake in the Draugen licence was taken over by German-owned VNG Norge as part of a long-term commitment to NCS. This company had made a conscious decision to strengthen its position on the Halten Bank. It already had interests in Njord and Hyme, and is operator for Pil og Bue (later named Fenja) – the biggest oil discovery on the NCS in 2014. Royal Dutch Shell launched a USD 70 billion bid for all the shares in BG Group in 2015, seeking to expand at a time when low oil prices were put pressure on the petroleum profitability. The previous wave of mergers in the international petroleum sector had been in the late 1990s, following the Asian economic crisis, with oil giant ExxonMobil as one of the outcomes. Shell had stood on the sidelines then, despite rumours that it might take over BP. Such acquisitions cost money, and Royal Dutch Shell now found that it needed capital. Its interest in Draugen went on sale in March 2018, and who will be the buyer and take over as operator remained unclear at the time of writing. Shell’s stake in Gjøa was also put on the market in a sell-off which actually started in 2017 with holdings in several British fields. During the autumn, the company sold a 9.92 per cent interest in Norway’s Polarled gas pipeline and three per cent of its 15.03 per cent stake in the Nyhamna gas plant. In the latter case, however, Shell will remain responsible for running the facility in its role as technical service provider to operator Gassco. The Ormen Lange gas field in the Norwegian Sea is not part of these sales. Its operations organisation shares premises with the Draugen team at Råket in Kristiansund. 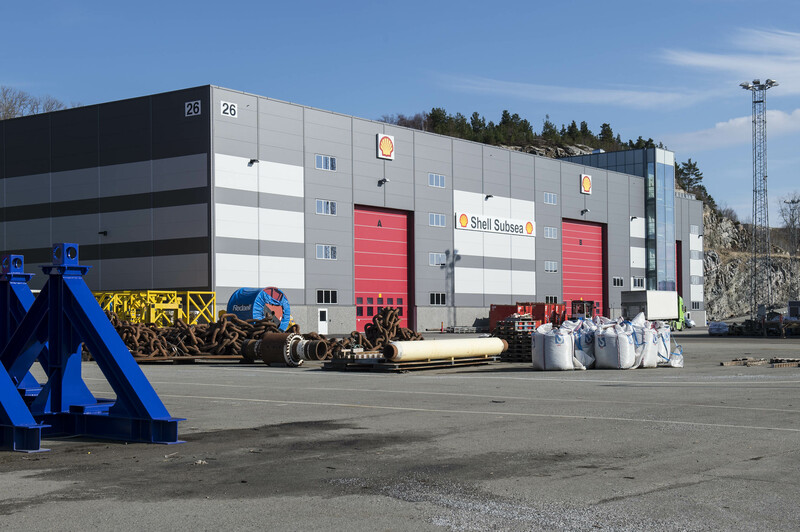 It remains unclear whether and how this collaboration will continue in the future, but Norske Shell has promised to remain in Kristiansund for the time being. We are now taking part in the birth of the Draugen project, and the pregnancy has lasted for 20 years. Draugen has 20 years ahead of it, and I hope Shell will become even older in Kristiansund. Read more about this topic in the article on Kristiansund becoming an oil town. The new office was not initially intended to handle operations, but to function as an interface between Shell and local industry in the region around the town. It provided a temporary presence for the company until the permanent operations organisation moved three years later into the new building being constructed at Råket. 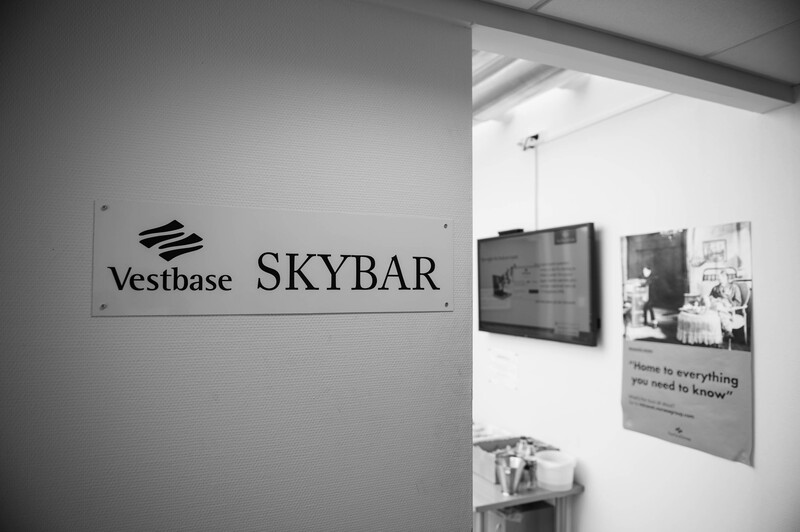 Located in Verkstedveien, the office was close to Vestbase – the main supply facility for exploration in the Halten Bank area of the Norwegian Sea. Norsk Hydro was based next door and the local airport at Kvernberget was only a few kilometres away. The Storting (parliament) voted in December 1988 that Draugen would be operated from Kristiansund, which would also host the supply base for this field, Heidrun and Halten Bank exploration. [REMOVE]Fotnote: Ministry of Petroleum and Energy. (1988). Proposition no 1, supplement no 2 (1988-1989) for the 1989 budget period. Utbygging av Draugenfeltet og lokalisering av drifts- og basefunksjoner for feltene Draugen og Heidrun. It also resolved, incidentally, that the operations office for Conoco-operated Heidrun would be located at Stjørdal outside Trondheim. After 18 years of toil, the town would now be getting both an operations office and the associated jobs. It was high time – with the local economy characterised by the worst unemployment in Norway, a crisis mood prevailed there. 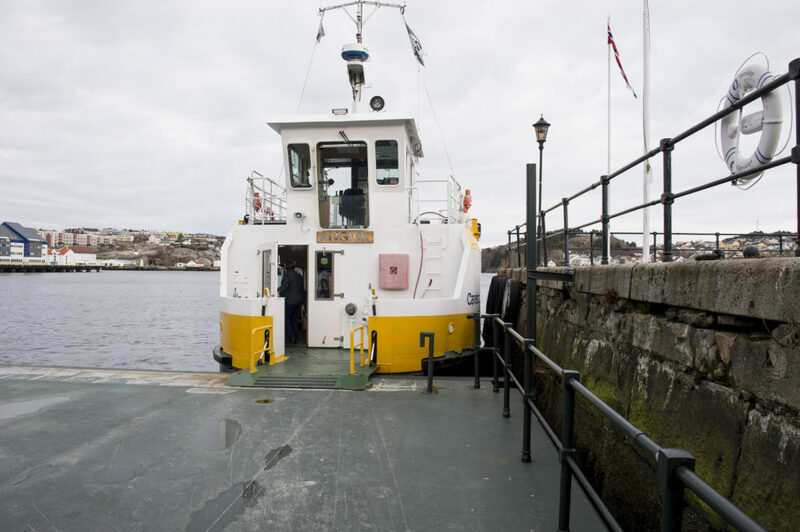 Read more in the article about Kristiansund in crisis. The Shell offices were not large, but would meet the company’s requirements until the Råket building was ready. It only had two staff initially, including secretary Marit Tomelthy. Her boss was industry coordinator Roy Ødegård, whose most important job was to provide information to and forge contacts with local industry, government, research institutes and media. [REMOVE]Fotnote: Shell Internt, 7 December 1989, “Draugen med postadresse Kristiansund”. Ødegård had experience from Møre og Romsdal county council as its long-serving oil coordinator, and was recruited by Shell in 1987 to set up an industry office for Draugen in Trondheim. That was because the company had hesitated to commit to Kristiansund until the Storting took its decision. It therefore opted for a location in the regional centre of mid-Norway. [REMOVE]Fotnote: Interview with Roy Ødegård by Trude Meland, Råket, Kristiansund, 25 August 2016. To achieve efficient and profitable operation of Draugen, Shell would depend on a well-developed infrastructure and close collaboration with companies able to deliver goods and services at competitive prices. Prequalifying mid-Norwegian industry was therefore among the highest priorities, and an aggressive identification and evaluation of available suppliers was pursued from the start. Ødegård visited companies which might be relevant for operational and maintenance services, and a number of presentations and seminars were given on the Draugen project. The first series of these for mid-Norwegian industry was held separately in the three counties making up this region – Møre og Romsdal, Sør-Trøndelag and Nord-Trøndelag. Together with the Confederation of Norwegian Enterprise (NHO) and the Norwegian Confederation of Trade Unions (LO), the county councils were in the process of identifying relevant companies. Seminars took place in six locations during May-June 1990 after 831 companies had been assessed. Of these, 411 were invited to attend and 185 actually turned up. [REMOVE]Fotnote: Shell Internt, 3 June 1990. “Draugen og Midt-Norge”. After the sessions, 117 enterprises were still interested in collaboration. The next step was qualifying and involving them in construction and future operating assignments. [REMOVE]Fotnote: Norsk Oljerevy, issue 2, 1991. “Shell evaluerer midt-norske bedrifter for Draugen”. Seventy companies were invited to the Møre og Romsdal seminar, with 48 attending. Twenty-one were invited from Nordmøre itself and 16 turned up. The level of interest in Kristiansund and its hinterland was good, and a number of companies also opted to visit the new office in Verkstedveien. In many cases, the most challenging job was to explain to interested firms that they lacked the right expertise. A Shell team opted to visit many of them to assess their qualifications. Although this was resource-intensive, the companies were pleased. Shell had been a familiar name in Kristiansund for many years before oil production became relevant on the Halten Bank – indeed, long before anyone conceived of oil on the Norwegian continental shelf (NCS) or offshore operations anywhere in the world. The town got its first agency for Norsk-Engelsk Mineralolie Aktieselskab (later Norske Shell) in 1921, when a tank, quay and filling shed were built at Dale in the Nordlandet district. This facility was expanded in 1923 with a marine diesel oil tank and bigger quay, and a “petrol station” was opened in the town that year with a tank at Vaagekaien in Kirkelandet. [REMOVE]Fotnote: Hegerberg, H (2004). Et stille diplomati: Oljebyen Kristiansund 1970-2005. Kristiansund: Kristiansund local authority: 204. When Shell moved into the new office building at Råket in 1992, five staff from the nearby Dale depot turned up to welcome their new colleagues. The office in Verkstedveien was a temporary solution. When it became clear that Shell and Draugen would be going to Kristiansund, the council wished them both heartily welcome. It made available the best site at its disposal at Råket in Nordland, which occupied a beautiful position along the highway into town. A design competition was announced, and four architect practices in Møre og Romsdal submitted ideas for the building, with its 4 000 square metres of space. [REMOVE]Fotnote: Shell Internt, 9 November 1990, “Draugenorganisasjonen på full fart til Kristiansund”. Kosbergs Arkitektkontor A/S in Molde won the competition. It had proposed a futuristic style which sought to meet the many considerations which had to be taken into account. Not only was an agreeable office building to be constructed, with opportunities for expansion, but nature and the environment on the site were to be preserved. The internal layout had to provide good opportunities for informal contact between employees, exchange of professional experience and strengthening of social cohesion. [REMOVE]Fotnote: Shell Internt, 7 December 1990, “Shell-bygget i Kristiansund”. 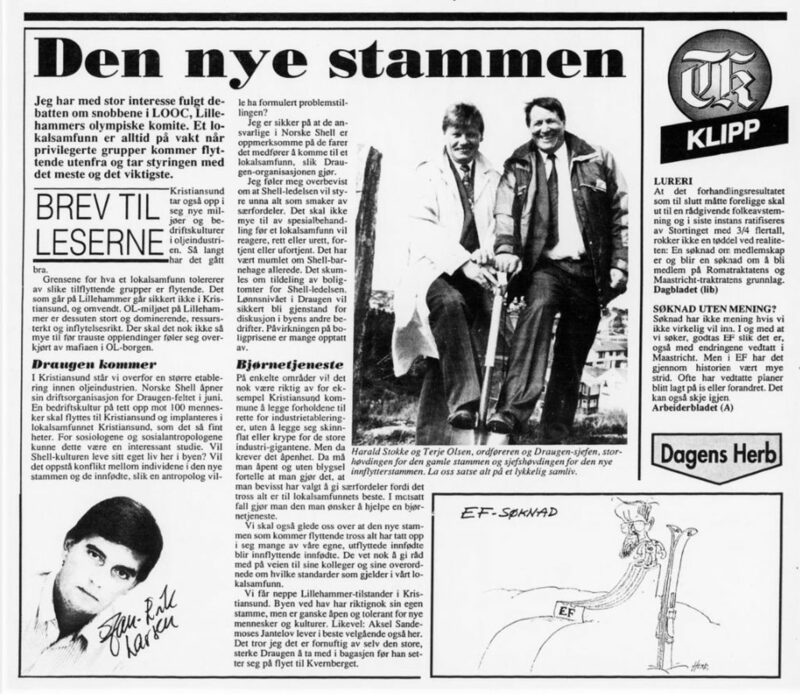 Kristiansund mayor Harald Stokke cut the first sod for the construction project in March 1991. 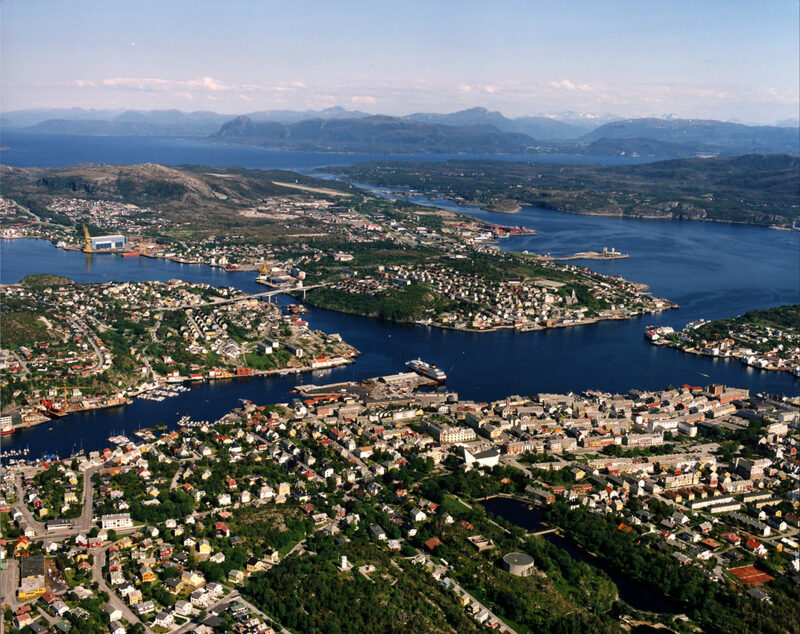 Kristiansund was set to enter a new era in 1992, when the town finally became the oil centre for mid-Norway with the opening of Shell’s new operations office and jobs flocking in. But the year opened in the worst possible way, with the most powerful hurricane registered by the Norwegian Meteorological Institute since records began in 1867. [REMOVE]Fotnote: Norwegian Meteorological Institute, 28 December 2016, “25 år siden den historiske nyttårsorkanen”. Downloaded from https://www.met.no/nyhetsarkiv/25-ar-siden-den-historiske-nyttarsorkanen on 9 January 2018. The hurricane has no name, because the meteorological institute did not begin naming such events until 1995. The storm which hit the west coast on 1 January 1992 caused one death and was the most expensive in Norwegian history measured by material losses. Some 50-60 000 buildings were destroyed, with extensive damage also caused to infrastructure, historical monuments, fish farms and not least forests. Power cuts caused big operating losses for industry, and provisional energy solutions were being used in certain parts of the country for a long time. [REMOVE]Fotnote: Directorate for Civil Protection and Emergency Planning (2012). Nasjonalt risikobilde 2012: 20. Downloaded from https://www.dsb.no/globalassets/dokumenter/rapporter/nrb_2012.pdf on 9 January 2018. This hurricane opened not only the year Shell was to establish itself seriously in Nordmøre, but also the 250th anniversary of Kristiansund’s acquisition of municipal status. The town suffered a five-day power cut, and the loss of telephone connections contributed to chaotic conditions. It was declared a disaster area and a full crisis response was mobilised. Shell’s offices were still in Verkstedveien when the storm struck, ripping off much of the roof and more or less crippling communications. Despite warnings against moving about in the open, some people got to the building and covered most of it with plastic. But water still rose inside, and conditions worsened on 2 January. Documents and office furnishings had to be moved as quickly as possible – first to temporary quarters at Vestbase and then to an abandoned dairy in the town centre. The office was functioning again the day after this move, and personnel were able to return to the Verkstedveien building in March. [REMOVE]Fotnote: Shell Internt, January/February, 1992, “250-års jubileum innledet med orkan”. Meanwhile, the topping-out ceremony for the new offices at Råket could take place on 5 March when completion of the roof could be appropriately celebrated. [REMOVE]Fotnote: Shell Internt, 3 April 1992)], “Shellbygget under tak”. A steady growth in staff over the year meant Shell had to lease additional space in Verkstedveien with room for 100 people in June – two months before the new offices were to open. The company needed more capacity at this stage than the Råket building would provide. This related particularly to offshore personnel who needed offices before moving to the platform, and to consultants and people on short-term contracts. When Draugen came on stream in 1993, however, the whole workforce in Kristiansund would be able to fit into the new offices. Local politicians were pleased at Shell’s arrival, aware that this would bring in a number of highly qualified and experienced people who would be a resource for both town and region. But this development was not without its controversial aspects. Jan Erik Larsen, editor of local newspaper Tidens Krav, among the sceptical voices. In an open letter to his readers, he warned against privileged groups moving in from outside and taking over control of most things – and the most important. He feared that Shell’s culture would live its own life in the town. Although he was convinced that the company’s management would avoid anything which smacked of privilege, it would not take much of this before locals reacted. Larsen highlighted existing mutterings about special treatment in the award of day care nursery places and housebuilding sites, and was sure that pay levels would be the subject of discussion. He concluded that Kristiansund was justified in seeking to attract industry, but that this had to be done without “unreserved grovelling” or fawning on the giant companies. Openness was essential, Larsen said. Kristiansunders were admittedly fairly open towards and tolerance of newcomers, but narrow-mindedness also flourished there as elsewhere. [REMOVE]Fotnote: Tidens Krav, 21 March 1992, “Den nye stammen”. Shell had said it would help to finance a new day care nursery at Løkkemyra, close to the Verkstedveien offices. However, nursery places available to its employees would not be confined to this Fosna facility, but spread around where they lived. The company had signalled that it needed 42 places. That created a financial basis for the council not only to build but also to bring forward the Fosna project for a 1992 opening. This assumed that the council would face no net cost in establishing or running the new nursery, but the deal depended on the sale of 40-45 places to Shell. A month after the construction decision was taken, however, the chief administrative officer revealed that the whole basis for the project had been changed. During the process, Shell had reduced its requirement to a maximum of 30 places, including 15 reserved for infants under the age of three. At 25-30 places, the basis for building the nursery at no cost had gone. [REMOVE]Fotnote: Tidens Krav, 3 June 1992, “Subsidierer Shell med 40.000”. The Fosna facility nevertheless went ahead, but at the cost of much resentment among local residents and politicians. Agreement was also reached that Shell would take about 50 per cent of the places Kristiansund council could offer for children up to the age of three. The town’s own residents would thereby have problems getting their own under-fours in. [REMOVE]Fotnote: Sveinung Solberg, “Barnehager”, Tidens Krav, 7 July 1992. A number of politicians had great qualms that one company in the town could determine so much. Allocation of the town’s “best” housing development land was the other big issue, with the council’s executive board reserving the necessary sites for key personnel in new industries. Mayor Stokke said that providing land for new arrivals was a key concern for the town. It was important that the office head lived there because his high income would boost tax revenues. Shell had wanted a site to build a distinguished residence for the leader of its Draugen organisation, and the executive board reserved five plots in an attractive area of detached homes. Two were allocated for the Draugen head. [REMOVE]Fotnote: Tidens Krav, 24 March 1992, “SV spør om Shell-tomt”. All eyes in the local community were on Shell. The company was fully aware of this, and encouraged its employees to play an active part in community life. It was important that they did more than cultivate a distinctive “Shell” culture. In connection with the move to and start up of the operations office, the company established a dedicated magazine under the name EPO Express. Operations head Terje Olsen wrote in a leading article for the first issue that Shell aimed to be a positive factor for the community everywhere it worked – including Kristiansund. Its own recreation club would be integrated as far as possible in the town’s existing sports and activities, at the same time as a social network was created within the company. [REMOVE]Fotnote: Epo Express, May 1992. Perhaps a little surprisingly, there was otherwise little discussion around Shell’s arrival. When it moved into the Råket building in August 1992, and not least when Draugen came on stream in October 1993, local people were proud residents in the new oil town. Read more about the construction of the Råket building and the big move project. — Logos from 1900 to 1999. Now a multinational company with its head office in the Hague and its business address in London, Royal Dutch Shell started life in 1907 as an alliance between Royal Dutch Petroleum Company and Britain’s Shell Transport and Trading Company. This is the story of how the group grew into one of the world’s largest enterprises, but also about its two founders – Marcus Samuel Jr and Henri Deterding. While the first of this pair was an ambitious Londoner of Jewish origin from the East End, the other hailed from the Netherlands and had a bent for details and figures. This enterprise was founded in Yokohama, Japan, in 1878 as an international trading company. Samuel Samuel then established Rising Sun Petroleum Co (later Shell Petroleum) in 1900 as an independent petroleum arm distributing candles and lamp oil (kerosene). Soon afterwards, this company merged with the Royal Dutch/Shell group. 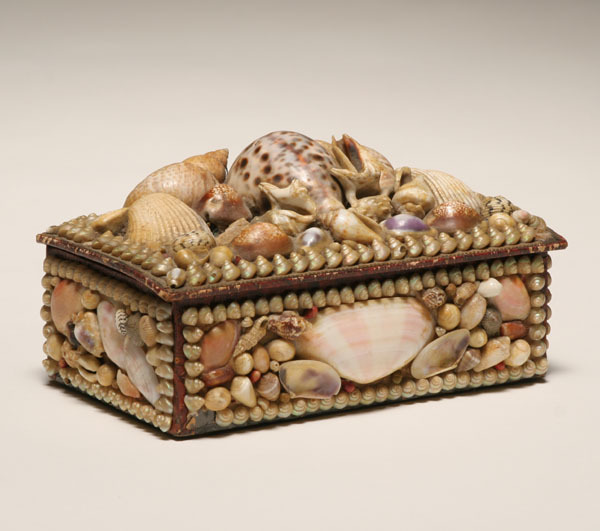 It all started in 1833 when Marcus Samuel Sr began a small business in the East End, dealing in antiques and curiosities as well as painted seashells, fashionable in Victorian Britain. [REMOVE]Fotnote: Cummins, Ian and Beasant, John (2005). Shell Shock. The secrets and spin of an oil giant, Edinburgh: 32. The enterprise was lucrative, and grew into a flourishing import-export company. Samuel organised bilateral trade between the UK and the Far East. Textiles and machinery for industrial development were shipped from the UK in exchange for rice, coal, silk, copper and porcelain. Trading partners multiplied, and Samuel was soon dealing globally in food, sugar, flour – and shells. He was succeeded on his death in 1870 by sons Marcus Jr and Samuel. Their most important inheritance was a network of trusted agents in the Far East as well as other business contacts. They established two firms in 1878 – Marcus Samuel & Company in London and Samuel Samuel & Company in Japan. Samuel, the older of the pair, moved to Japan and remained there for a decade. The second half of the 19th century was a time of rapid technological progress and dawning globalisation, with steel and steam as perhaps the key combination. Railways and steamships revolutionised travel and economics. New types of vessel which were larger, stronger and faster than before shrank the world. [REMOVE]Fotnote: An important person in this context was Isambard Kingdom Brunel, a British engineer involved in a number of UK construction projects – including bridges, steamers, railways and tunnels. He is best known for laying the Great Western Railway between Bristol and London and building SS Great Britain, which ranked at the time as the largest ship ever launched. The wireless telegraph also simplified contact between the UK, India, China, Singapore, Japan and Australia. 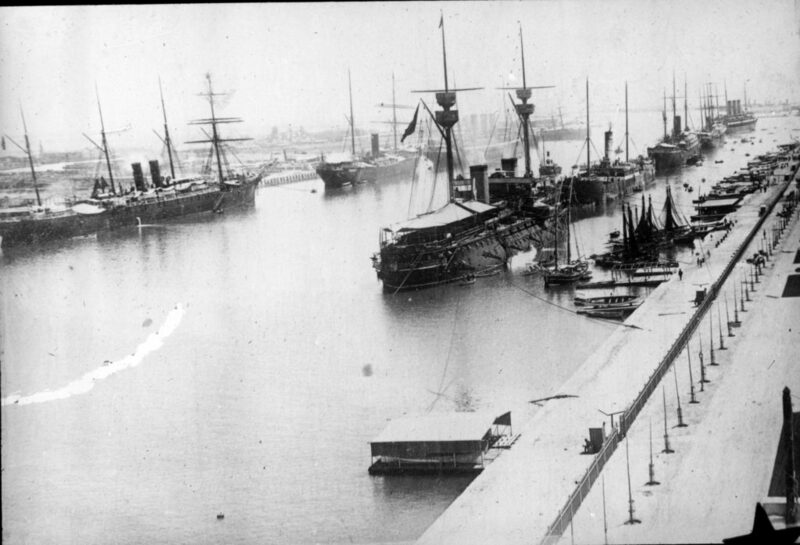 And the Suez Canal, opened in 1869, gave European freighters a direct route to Far Eastern markets. Another significant innovation for Shell’s history was the refining of crude oil into kerosene (paraffin), primarily in Baku (then in Russia and today part of Azerbaijan). Lamps burning this hydrocarbon product quickly became the preferred source of lighting in European and North American homes and created a new trade commodity. [REMOVE]Fotnote: Abraham Pineo Gesner was a doctor and geologist who is regarded as the pioneer of the modern oil industry. His research into minerals led in 1846 to the discovery of a process for creating a type of coal-based fuel. Known as kerosene or coal oil, this new product burnt more cleanly and was cheaper than existing whale or plant oils. The refining process was extended to petroleum in order to produce paraffin. Marcus Samuel Jr took his first tentative steps into oil trading when he purchased small quantities of paraffin from Standard Oil[REMOVE]Fotnote: Standard Oil Company was the biggest organisation of oil refineries in US history. Founded in 1870 by John D Rockefeller and others, it was dissolved in 1911. https://no.wikipedia.org/wiki/Standard_Oil. US oil production got seriously under way in 1859 with the Titusville discovery in Pennsylvania. and Jardine Matheson for sale in Japan. He expanded this business by selling Russian crude from Baku for the Rothschild family to Far Eastern countries, thereby breaching the monopoly held by Standard Oil. Founded by John D Rockefeller in 1870, the latter company had secured control over most US oil production and transport by 1890. At peak, it had 90 per cent of the world’s oil refining. 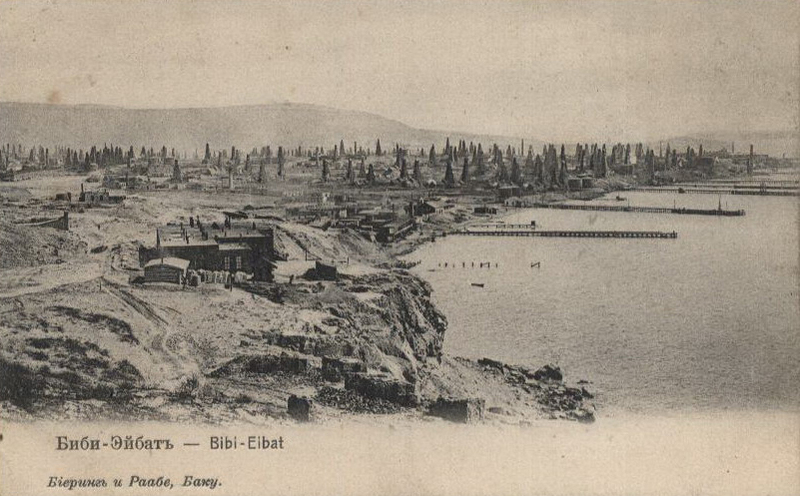 Samuel visited Baku for the first time in 1890, along with the Black Sea port of Batumi where Russian crude was exported to Europe. He was very impressed by the scale of this traffic, and saw the potential for trading paraffin and the big market offered by the Far East. [REMOVE]Fotnote: Cummins, Ian and Beasant, John (2005). Shell Shock. The secrets and spin of an oil giant, Edinburgh. During the 1870s, the Russian Tsar had abolished the state monopoly over petroleum and the oil hunters poured into Baku. They modernised exploration, production and – not least – transport methods. The most important players were the Swedish Nobel brothers, Robert and Ludwig, and the Rothschilds. The latter were and are one of the world’s richest families. Among their other accomplishments, the Nobels laid pipelines from wells to refineries as well as designing and building a small oil tanker – the Zoroaster – to ship paraffin across the Caspian. The Rothschilds came up with a different solution by building a railway line from Baku to Batumi. Their Bnito company could thereby outcompete Standard Oil in the European market. Used for both lighting and heating, paraffin was the only crude oil fraction of interest at that time. The increasingly industrialised world paid growing attention in coal as an energy source. As a result, a market barely existed for oil as a transport fuel. Its heaviest components were discarded while the associated gas was flared. Standard Oil had established a virtual monopoly of paraffin sales in Asia. Freighting American paraffin directly to this market by sea was quicker and cheaper than sending Russian production by land, which needed a big investment in railways. The alternative for the Nobel brothers or the Rothschilds was the sea route from the Black Sea around the Cape of Good Hope, a long and dangerous voyage. But the Rothschilds nevertheless had plans to compete with Standard Oil in the Asian market. They turned to Marcus Samuel, who had good contacts and a network of agents in the Far East.He saw that the solution to the transport problem lay with the Suez Canal, which had simplified and not least reduced the cost of maritime freight between Europe and Asia since 1869. However, safety concerns meant that ships carrying oil were banned from the canal. So Marcus got British naval architect Fortescue Flannery to design a safer vessel. This Murex tanker was also longer than earlier types. 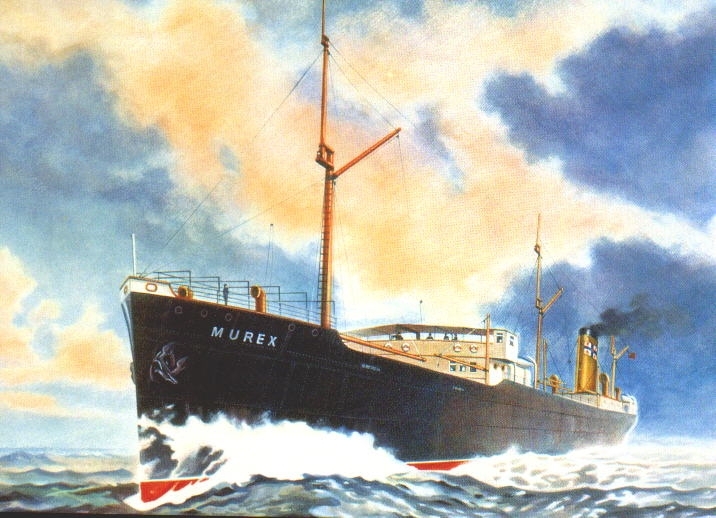 The work was crowned with success on 24 August 1892 when Murex completed its maiden voyage through the canal with 4 000 tonnes of Russian paraffin bought from Bnito and shipped to Singapore. Lamp oil from Russia could now compete on price with Standard Oil’s US product. Prices fell, and Marcus Samuel rapidly increased his market share. These new tankers also had the advantage that – unlike earlier oil carriers to the Far East – they could carry other products such as food on the return leg rather than sailing home empty. Marcus Samuel shipped paraffin in bulk, but Asians wanted it in cans. Standard Oil’s blue containers could be seen everywhere in every kind of application, from roofs and doors to saucepans. Samuel’s strength laying in being innovative and decisive. He quickly had tinplate shipped east while building factories to make cans. Red was quickly adopted as the colour. Competition between Standard Oil and Shell now became directly visible on roofs, doors and all the other places where the cans were used. 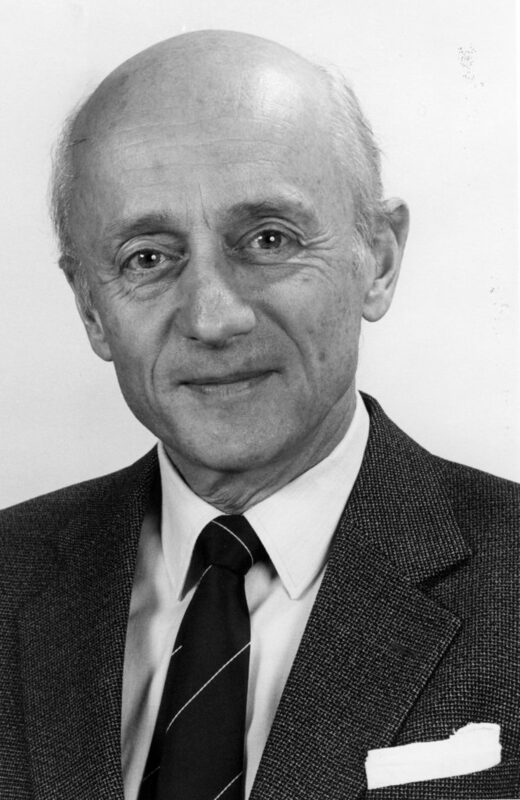 Marcus Samuel established the “Shell” Transport and Trading Company Limited (the quotation marks were part of the legal name, but at dropped hereafter) on 18 October 1987. The shares were distributed between Marcus (with 7 500), Samuel (4 500) and eight other investors who received proportionate holdings. It was also determined that Marcus and Samuel would have five votes for each of their shares, compared with one per share for the others. That gave Marcus full control. Established because of uncertainty over oil deliveries, the company’s name was chosen in homage to Marcus Sr’s first trade commodity and a shell served as the logo. 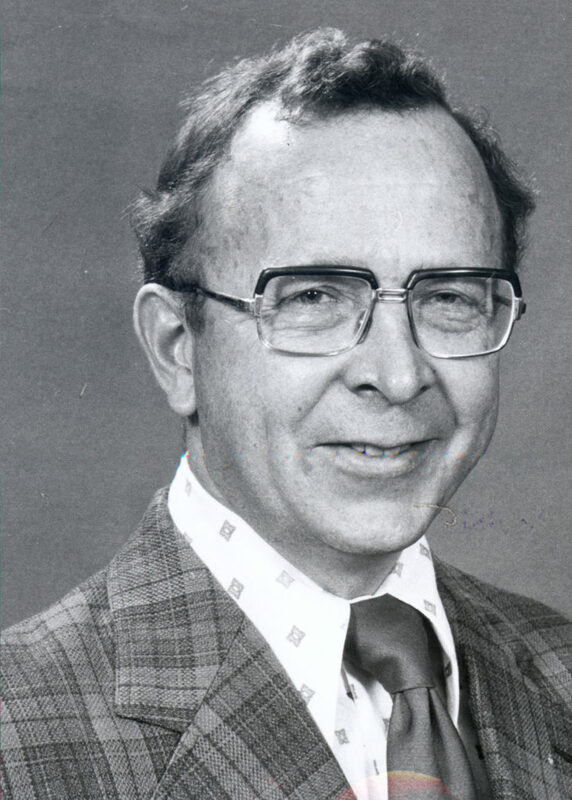 Marcus owned no oil wells or refineries, and his goal was to secure its own crude and gain control over every stage from drilling to refining, transport, distribution and sales. Shell Transport made a discovery in Borneo in 1897, but this oil contained little paraffin. Instead, it comprised a lot of petrol and toluene. The latter is a petroleum fraction used in solvents, dyes, pharmaceuticals, explosives and other applications. Neither it nor petrol had much of a market at the time, but both were to play a key role within a few years. NV Koninklijke Nederlandsche Maatschappij tot Exploitatie van Petroleumbronnen in Nederlandsch-Indie, abbreviated to Royal Dutch, was established by Aeilko Zijlker in the Hague in 1890. Its full name in English is Royal Dutch Company for Working of Petroleum Wells in the Dutch Indies. This was not officially simplified to Royal Dutch Petroleum Company until 1949. Zijlker, a former plantation owner with the East Sumatra Tobacco Company, had secured a concession to drill for oil on Sumatra in the Dutch East Indies (now Indonesia). He made a big discovery there in 1885, but died suddenly in December 1990 and was replaced by J B August Kessler. The company’s first brand was launched by Kessler as Crown Oil. However, the sales and distribution network proved inadequate and marketing was weak. Things went even worse in 1897, when the Sumatran wells began to produce water alongside the oil. Within three months, they were dry and Royal Dutch was forced to start buying Russian paraffin. A 30-year-old bookkeeper, Henri Deterding, had joined the company in 1896. As early as 1901, he became its chief executive when Kessler died and proved an outstanding entrepreneur. Deploying strategic vision and financial awareness, his ambition was to build an enterprise which could measure itself against the world’s largest petroleum company ¬– Standard Oil. To compete with Rockefeller and Shell Transport, Royal Dutch began to construct its own crude oil carriers and storage tanks, and established a sales organisation. The oil industry was changing rapidly at the start of the 20th century, having become complex and politicised. To resist takeover moves against both companies by Standard Oil, Marcus Samuel offered Royal Dutch a defensive pact which would mean no undercutting of each other in the Far East. A new idea had gripped him at this time which would claim his attention for the next 15 years. Instead of refining oil into paraffin, he would use it as fuel in Shell’s own tanker fleet. The Nobel brothers had previously demonstrated that this was possible with their small tankers on the Caspian, and the idea gathered momentum. If it could be done on a large tanker, why not use oil instead of coal in the British merchant marine – the world’s largest? But the fight to win acceptance for this innovative concept cost Marcus pain, humiliation and big losses before he ultimately succeeded. He decided that Shell would be in the forefront of motor fuels, started building refineries for such products, expanded the company fleet and bought large amounts of oil where possible. Prospects looked good for Shell Transport and Marcus – until a wave of events washed over them, including destruction of storage tanks during China’s anti-Western Boxer rebellion in 1899-1901. The Boer War between Britain and ex-Dutch settlers in South Africa also destabilised a brand new market. UK forces suffered three damaging defeats during Black Week in December 1899, which boosted Dutch nationalist sentiment worldwide to the benefit of Royal Dutch. Investments in India were wiped out when Burmah Oil[REMOVE]Fotnote: A Scottish oil company established in 1886. gained control of the paraffin market there. And, to top it all, world trade suffered a general slump and shipping rates were falling. The future looked unpromising. To keep its four biggest tankers working, Shell began buying Romanian paraffin for worldwide sale. 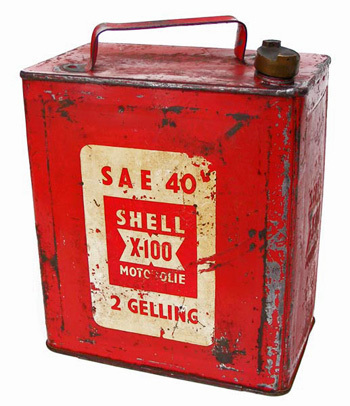 This left Shell with big lamp oil stocks when Standard Oil decided to dump cheap paraffin on the European market as US demand for this product lagged behind rising petrol consumption in cars. Electricity was now the most important source of lighting and heating, outcompeting paraffin, and the price of the latter slumped. Shell Transport was particularly hard hit. An event then occurred which promised to rescue Marcus and the company – a 40-metre-high geyser of oil rose above Spindletop in Texas on 10 January 1901. The Shell boss saw this as a fantastic opportunity, and entered into a 21-year deal to freight Texan oil. But this venture ended disastrously when overproduction destroyed the well and production sank dramatically within a few years. Nor did the downturn stop there. One of Shell’s tankers, laden with paraffin, went aground in the Suez Canal and another of its ships attempted a rescue. While being pumped from the grounded vessel, the oil caught fire and both ships were burnt out. Shell lost its right to carry motor fuel in bulk through the canal. [REMOVE]Fotnote: Cummins, Ian and Beasant, John (2005). Shell Shock. The secrets and spin of an oil giant, Edinburgh: 87. Shell Transport was on the verge of bankruptcy in 1903 when it entered into a collaboration with Royal Dutch to protect both from Standard Oil’s dominance. They formed the Asiatic Petroleum Company Ltd with the Rothschilds as the third partner. Marcus became chair and Deterding chief executive, and the new venture collaborated in all Far Eastern markets. But it was confined to that region – Shell and Royal Dutch continued to compete everywhere else. Shell Transport staggered from crisis to crisis, while Asiatic took wing under Deterding’s leadership. Royal Dutch made huge profits over the next three years from petrol, while Shell was less fortunate with its commitment to heating oil. Demand for this product still lay in the future. As mentioned above, Shell’s Borneo oil was rich in toluene and petrol but poor in paraffin. To find markets for the crude, Marcus made a fresh effort to sell fuel oil to the British navy – only to be rejected again. Britain’s military authorities gave an equally firm refusal to offers of toluene as an important ingredient in the explosive trinitrotoluene (TNT). They felt the quality was inadequate, and preferred to extract toluene from British coal. However, both Germany and France were keen to buy and the contracts were so large that Shell could build a toluene plant at Rotterdam in the Netherlands. Despite their size, these deals were not enough to save the company. Only one way out remained – Marcus went to Deterding and proposed a merger on the Asiatic Petroleum model. Shell’s financial position was so weak that Deterding could dictate the terms for this transaction. Royal Dutch got 60 per cent, while Shell Transport had to rest content with 40. Marcus had no choice but to accept. Shell became a holding company under his control. To ensure that Royal Dutch led the group for Shell’s benefit as well, it bought shares in the new holding company. The resulting Royal Dutch/Shell group has never existed as a legal entity. Neither Royal Dutch nor Shell Transport ceased to exist when they entered a formal alliance on 1 January 1907. They unified their interests but retained separate identities. Each thereby became a holding company rather than an operational enterprise. Petroleum exploration, production and sales continued to be pursued by a number of operating units, with Anglo-Saxon Petroleum Company in London and Bataafsche Petroleum Maatschappij in the Hague as the first of these. They were specially established for the purpose, and took over virtually all physical assets in the holding companies. Anglo-Saxon handled oil storage, while Bataafsche ran oil fields and refineries. Both enterprises were wholly owned by the holding companies in the 60-40 proportion established in the terms for the merger. Royal Dutch and Shell Transport also appeared in the organisation charts below three other holding companies: Shell Petroleum Company Ltd in London, Shell Petroleum NV in the Netherlands and Shell Petroleum Inc in the USA. The number of operating companies increased rapidly, and dozens of separate legal entities were established worldwide, some wholly owned and others as joint ventures. Shell Transport and Royal Dutch also retained separate head offices in London and the Hague. Joint financial and commercial matters were to be dealt with in London, while significant technical issues fell to the Hague. The hierarchy was topped by a committee of managing directors. [REMOVE]Fotnote: Cummins, Ian and Beasant, John (2005). Shell Shock. The secrets and spin of an oil giant, Edinburgh: 102. As will become clear below, this company structure had consequences for the way it was run and communicated with public opinion. The organisational model allegedly encouraged inertia in the system, poor communication, and what a Financial Times analyst called “regrettable decisions”. [REMOVE]Fotnote: Financial Times, 9 October 2004. “Shell to embark on radical overhaul”. The group made rapid progress under Deterding’s leadership. Total assets for Royal Dutch and Shell Transport grew more than 250 per cent between 1907 and 1914. It was decided to expand into new areas, acquire new sources of crude oil, and place the rising refinery business under central control in order to meeting growing demand worldwide. The group secured control of major production interests in Romania (1906), Russia (1910), Egypt (1911), Venezuela (1913) and Trinidad (1914), while holdings in Indonesia were extended. Standard Oil’s core market was also penetrated with the creation of Roxana Petroleum Company in 1912 to operate in Oklahoma. The British-American Gasoline Company in California was acquired the following year, while oil-producing tracts were purchased and operations widened in central USA. By the end of 1915, Royal Dutch/Shell was producing almost six million barrels of crude per annum in America. In addition, the group extended its distribution network to many countries. It came to Norway in October 1912 as Norsk Engelsk Mineralolie Aktieselskap (Nemak). See Shell in Norway. The number of cars and motorbikes on the roads in the western world expanded swiftly after 1900, leading to a concomitant rise in demand for petrol. That coincided with a dramatic decline in paraffin sales as the incandescent lightbulb and electricity spread. Aviation fuel also began to become profitable. Not least, the British navy finally recognised the advantages of oil-fired ships, which were recommended by a royal commission in 1912. Winston Churchill, then First Lord of the Admiralty, had been in Morocco during the crisis there and observed the oil-fuelled German warships. He had been deeply impressed by their speed. Britain’s coal-powered naval vessels could only reach a top speed of 10 knots, compared with 35 for their German rivals. Marcus saw his chance, and pressed Churchill to convert the navy to oil. Although only small quantities of fuel were initially bought from Shell, these purchases pointed to the future. [REMOVE]Fotnote: BBC, 31 August 2016. Planet Oil. The Treasure That Conquered the World. Episode 1. Four months into the First World War, the UK was almost out of TNT and turned to Marcus. He solved the problem in great secrecy by moving the toluene factory from Rotterdam to Britain. The company also built a separate nitrate plant to utilise the toluene in manufacturing 450 tonnes of TNT per month. Shell constantly built new factories, and was also the only supplier of aviation fuel. [REMOVE]Fotnote: Cummins, Ian and Beasant, John (2005). Shell Shock. The secrets and spin of an oil giant, Edinburgh: 105. The problem for the UK was that it had a lot of domestic coal but oil lay far away in the Middle East, Indonesia and the USA. British interests had found petroleum in Persia (now Iran) in 1909, and the largest oil deal in world history was signed in 1914. The Anglo-Persian Oil Company secured an exclusive contract with the British navy, but on one condition – the UK would own 51 per cent of the shares. This was the first case of state ownership in an oil company. Anglo-Persian was the forerunner of today’s BP. Although the 1914-18 war produced mixed results for the Shell group, it helped to shape the new enterprise. The German invasion of Romania in 1916 destroyed 17 per cent of the company’s production capacity in a couple of days. All its assets in Russia were confiscated after the revolution[REMOVE]Fotnote: http://www.shell.com/about-us/who-we-are/the-early-20th-century.html, while equipment-related difficulties meant that production in Venezuela was delayed until late in the conflict. British civil servants and ministers accused the company of being pro-German and supplying the enemy with oil through subsidiaries in neutral countries. Efforts were made to merge the company with Anglo-Persian, Burmah Oil or other UK interests in order to secure British ownership. These attempts failed and, despite its different owners, the group played an important role in the Allied war effort. On the positive side, holdings in the USA and Far East were expanded. One important contribution by the Shell group to the Allies took the form of fuel deliveries to the British forces and, as noted above, it was the sole supplier of aviation fuel. Eighty per cent of the British army’s TNT hailed from the group’s factories. And it put all its vessels at the disposal of the British fleet. This improved Shell’s reputation and Deterding – who had been nicknamed the “Napoleon of Oil” – was made a Knight Commander of the Most Excellent Order of the British Empire after the war. British aviators John Alcock and Arthur Brown used Shell aviation fuel in their historic non-stop flight over the Atlantic in 1919. Britons Alcock and Brown used fuel from Shell for the first non-stop flight over the Atlantic in 1919. This fact was exploited for all it was worth in the group’s marketing. The following decade was characterised by growth, with the whole oil industry expanding through increased sales of cars and rising demand for motor fuel. Shell also made big profits from new oil finds in California, Venezuela and the Middle East, and became involved in chemicals through the Dutch NV Mekog and Shell Chemical Company in the USA. Both produced nitrogen-based straight fertilisers. The group also experienced notable growth in its refinery operations, and a number of new facilities were constructed in this part of the business. Bunkering stations were expanded in ports worldwide, and Shell products became well known. Output steadily increased and new subsidiaries were established. At the end of the 1920s, Shell ranked as the world’s leading oil company and accounted for 11 per cent of global crude production. It also owned 10 per cent of world tanker tonnage. The group had given weight to marketing and advertising from an early stage, conveying themes of power, cleanliness, reliability and modernity under the slogan “You can be sure of Shell”. These aimed to create a green, comfortable and secure world embodied in clean products. Many of its advertisements have become classics. [REMOVE]Fotnote: http://www.shell.com/about-us/who-we-are/the-early-20th-century.html. Another aspect of these marketing efforts was the development of the global network of service stations which helped to build the group’s reputation. Shell was also a pioneer in sponsoring sports events, particularly motor racing. [REMOVE]Fotnote: Olsen, Olav Søvik (2007). Rapportering og revisjon av olje- og gassreserver med utgangspunkt i Shell-skandalen 2004. Unpublished MSc thesis, Norwegian School of Economics. Marcus Samuel Jr did not experience the whole of this expansive period. He retired in 1920, and died on 16 January 1927. The Great Depression which began in 1929 forced Shell – like the rest of the industry – to downsize and cut costs. Apart from unstable oil prices, the sector was hit by overcapacity. Along with financial support to both Hitler and Mussolini, this reflected his sympathies for fascism and Nazism. He died in February 1939, not long before the Second World War broke out. The German occupation of the Netherlands in 1940 meant the head offices of the Dutch companies were transferred to the Dutch West Indies, while staff moved to London. Major assets in the Far East were destroyed during the fighting, while the important oil fields in Romania were also lost. 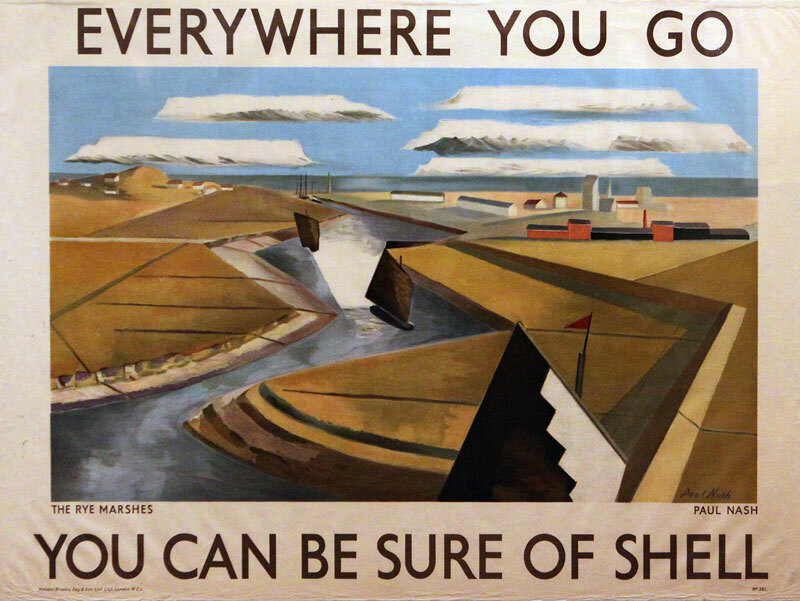 Shell once again played a major role in the Allied war effort. The US refineries were crucially important, particularly for producing large volumes of high-octane aviation fuel. The Shell Chemical Company manufactured butadiene, an important component in the artificial rubber used for tyres and in industry. [REMOVE]Fotnote: The Japanese occupation of Malaysia halted supplies of natural rubber and prompted the development and manufacturing of the artificial product from petroleum. All the group’s tankers were requisitioned by the British government, and Shell lost 87 of its ships in the course of the conflict. Once peace had been restored, major efforts were made to repair the damage to Shell’s installations. A great need existed to expand output, transport and refinery facilities. The 1950s and 1960s were a golden age for the oil companies. Demand for their products rose steadily. A growing number of cars meant escalating fuel consumption. Shell delivered almost a seventh of the world’s oil products in this period. 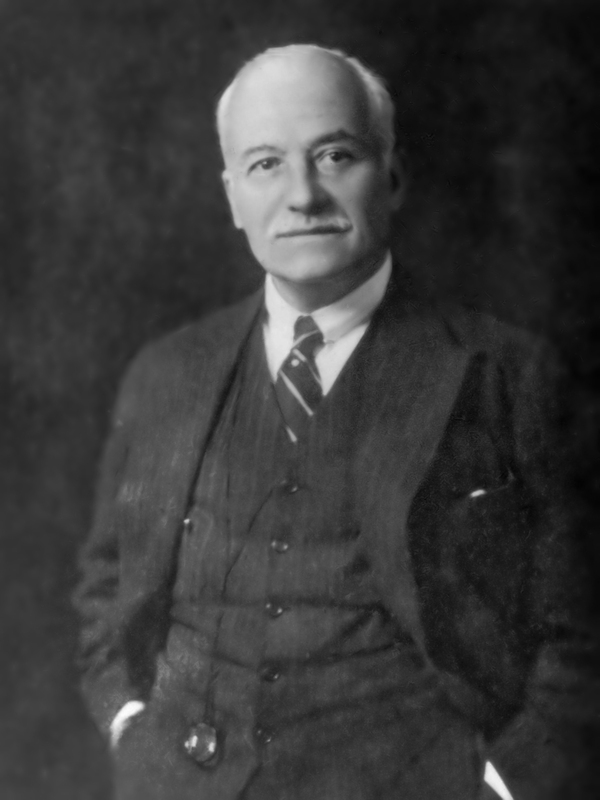 After Deterding’s departure in 1936, the group had been run by a committee without any clear leader figure. That remained the case right up to 2005. Secure transport was crucial. Egypt’s closure of the Suez Canal at the start of the Six-Day War in 1967 sealed this important transport artery for eight years, until 1975. That in turn opened the way for the supertanker. To ensure deliveries worldwide, Shell invested heavily in new and larger ships and built special carriers for liquefied natural gas (LNG). Apart from oil and gas, a third important product shaped the group’s history in this period – the rapid growth in chemicals production after 1945. Over the next 20 years, several hundred compounds were developed in more than 30 locations. Shell also expanded its operations to encompass coal and metals. It became one of the world’s biggest petrochemicals manufacturers as well as a leading supplier of pesticides and health products for animals. NV Neerlandse Aardolie Maatschappij (NAM), a joint Shell and Esso exploration venture, made one of the world’s biggest natural gas discoveries in 1959 at Groningen in the Netherlands. Production began in 1963, and the field was supplying half the natural gas consumed in Europe by the early 1970s. Shell had started producing this commodity in its own neighbourhood. Geological investigations demonstrated that similar sub-surface formations were to be found offshore, and the group’s search for hydrocarbons was extended to the North Sea. It formed a 50-50 joint venture with Esso in 1964 to explore for oil and gas on the UK continental shelf, serving as operator under the Shell UK Exploration & Production (Shell Expro) banner. During the 1970s, the North Sea became a significant arena for the petroleum sector, with big oil and gas discoveries in an extremely challenging operational and financial setting. 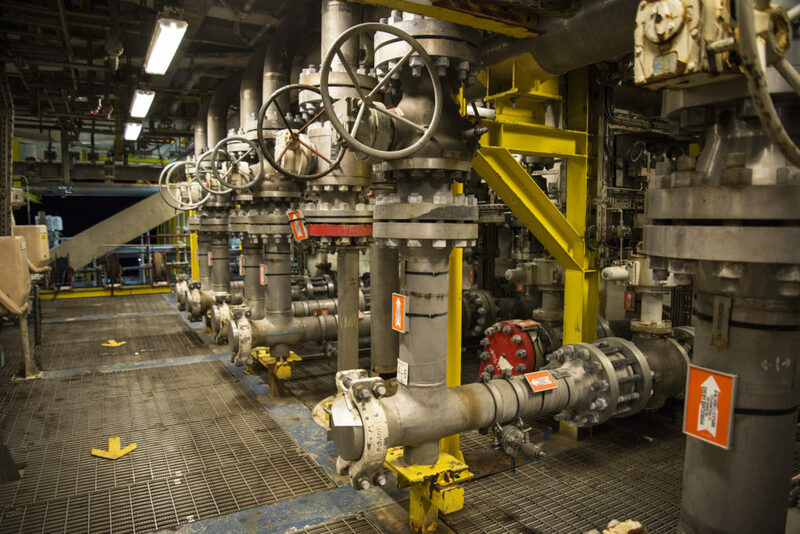 Exploration and production in these waters became a major activity for Shell, which invested substantially in new technology for use in one of the world’s toughest sea areas. Honesty, integrity and respect for people[REMOVE]Fotnote: Shell’s core values, according to its own website. http://www.shell.com/about-us/our-values.html. The oil industry also has a downside which the Shell group would experience directly, with pressure from external bodies increasing on the whole sector. Non-governmental organisations (NGOs) and the human rights movement played an ever-increasing role on the international scene from the 1970s. [REMOVE]Fotnote: The 1967-70 Biafran war in Nigeria is regarded as the starting point for modern humanitarian work, and initiated the first major international solidarity campaign. Environmental groups such as Greenpeace and Friends of the Earth were established during this period, and put pollution on the agenda. [REMOVE]Fotnote: Rachel Louise Carson (1907-64) is regarded by many as the most important figure in the early environmental movement. Her 1962 book The Silent Spring played a significant role in the foundation of a broad-based American green crusade. The media also changed, with direct transmissions on TV, news spreading quickly, and increasingly sophisticated use of information channels by interest organisations and groups. Shell found its reputation under challenge. Oil sales to countries with apartheid regimes and other involvement in there drew attention first, followed by major environmental scandals. The group’s oil deliveries to Rhodesia (Zimbabwe) topped the news agenda in 1976. This issue dated back to 1964, when the white minority administration began to demand independence. At that time, the UK’s policy was not to make any of its former colonies in Africa independent without the introduction of majority African rule. The white settlers in Southern Rhodesia, led by prime minister Ian Smith, nevertheless declared independence unilaterally in 1966 and introduced an apartheid regime. This action was defined as rebellion by the UK, and the British Commonwealth introduced economic sanctions – including an oil embargo. The UN followed up with similar reactions in 1968. Such sanctions had little effect, and by 1976 the white settlers remained in power with no shortage of oil. These supplies turned out to come in part from Shell and BP via South Africa and Mozambique. Why and how these sales were carried out remain a matter of disagreement, but the issue had a negative effect on the reputation of the two oil majors. [REMOVE]Fotnote: Read more in Keetie Sluyterman (2007) Keeping Competitive in Turbulent Markets, 1973-2007. A History of Royal Dutch Shell, volume 3: 314-318. And matters did not stop there. The Shell group was also subject to substantial criticism because of its investment in neighbouring South Africa. A number of organisations had started a campaign in the early 1970s against what they viewed as Shell’s support for the apartheid regime. But this really exploded in the media worldwide during the mid-1980s, and a global crusade against the group began in 1985. Pressure to pull out of South Africa grew particularly in the USA. A media campaign urged consumers to cut up their Shell cards and refuse to buy petrol at the group’s service stations. Similar drives were launched in Europe. Local authorities were urged to reject tenders from Shell. A number in Norway refused to deal with it, which had a direct impact on operating the Draugen field. See the article on …. Shell got through this period without major financial loss, but was seriously concerned about the overwhelmingly negative coverage. The group’s reputation had been weakened, and it began to be clear that the decentralised corporate structure was creating problems. Top management in the Hague and London were not informed of decisions taken by the autonomous South African subsidiary. It did not know enough about local conditions to adjust or terminate trade with the regime. Nor could it comment on behalf of the group and its own subsidiary. Shell’s basic policy was to avoid publicity but preferably to work through quiet diplomacy. [REMOVE]Fotnote: Keetie Sluyterman (2007) Keeping Competitive in Turbulent Markets, 1973-2007. A History of Royal Dutch Shell, volume 3: 319. This approach now began to be questioned. Departments and subordinate companies were encouraged to engage in dialogue with the general public, pressure groups, unions and universities, and to keep head-office staff informed. Employees were also under continuous pressure from family and friends to respond to questions about the group. [REMOVE]Fotnote: Keetie Sluyterman (2007) Keeping Competitive in Turbulent Markets, 1973-2007. A History of Royal Dutch Shell, volume 3: 330. Involvement in countries with controversial forms of government was not the only source of reputational problems for the Shell group. The environment also appeared on the agenda. The wreck of Amoco Cadiz in 1978 generated massive headlines. Technical problems caused this tanker to pile up on the French coast and pollute 200 kilometres of shoreline with 240 000 tonnes of crude – the biggest spill of its kind until then. Although Amoco owned the ship, the cargo belonged to Shell. Condemnation was particularly sharp in France, and the group was exposed to hostile and sometimes violent action. [REMOVE]Fotnote: Keetie Sluyterman (2007) Keeping Competitive in Turbulent Markets, 1973-2007. A History of Royal Dutch Shell, volume 3: 332. The criticism focused on the way Shell discharged its social responsibility. The group turned out to have made little progress in understanding and dealing with campaigners when the redundant Brent Spar loading buoy came to be removed in 1990. Shell again suffered massive criticism for its approach to corporate social responsibility after Shell Expro[REMOVE]Fotnote: The joint venture with Esso which operated in the UK North Sea. resolved in 1991 to remove the buoy from the Brent field in the UK North Sea. Following a number of independent analyses which took account of safety, financial, technical and environmental factors, the company decided that sinking in deep water was the best solution. Scrapping on land would be more expensive and involve greater safety risks. [REMOVE]Fotnote: Cummins, Ian and Beasant, John (2005). Shell Shock. The secrets and spin of an oil giant, Edinburgh: 335. The British government concurred, and the group received permission in 1995 to sink the buoy in the Atlantic. But Greenpeace did not agree. Nor was it consulted in the decision process, even though openness to and dialogue with interest organisations was part of Shell’s new strategy. The environmental group decided to launch a campaign against the principle of dumping installations at sea, with a special focus on Brent Spar, and made conscious use of the media. Its simple message was that the industry could not use the oceans as a rubbish tip, just as others were banned from throwing old cars into the sea. Greenpeace occupied Brent Spar for three weeks in June 1995 under massive media coverage. Consumers responded by starting a boycott of Shell’s service stations. Shell Expro ignored the campaign, and the buoy began being towed north-westwards towards the Atlantic in June. Greenpeace responded with phase two of its media campaign. Although the environmental organisation has since admitted that it exaggerated the amount of toxic waste on Brent Spar, that was no help to Shell at the time. The group reversed its decision, and announced on 20 June that the buoy would not be sunk but taken to land. Nevertheless, it remained convinced that sinking was the best and safest answer. British premier John Major, who had given the green light to sink Brent Spar, described Shell as “wimps” for surrendering to pressure. [REMOVE]Fotnote: Cummins, Ian and Beasant, John (2005). Shell Shock. The secrets and spin of an oil giant, Edinburgh: 338. The buoy was towed to Norway, disassembled and used as a quay. This issue demonstrated that popular opinion had a substantial effect, and that Shell had to learn to involve external views in its decisions. Feelings and beliefs could have just as much influence on the group’s “licence to operate” as hard facts. Shell demonstrated once again that it spoke with several voices. While Shell UK had defended the ocean dumping, the group’s German arm expressed doubt that this was the right decision. The problem remained the decentralised corporate structure and local autonomy. Shell as a group came across as weak and divided. Brent Spar showed that it needed better internal communication and coordination on important political decisions. Shell hoped to rebuild a reputation as a reliable and green group. Although progress was being made, other parts of its business now came under the activist spotlight. Environmental and human rights campaigners made common cause over Shell in Nigeria, and the group faced massive worldwide reactions in parallel with the Brent Spar issue in 1995. Oil production in the Niger delta was already a source of international contention, and Shell’s activities were not least a topic of debate. The media had begun investigating these operations a few years earlier, and a campaign began in 1990 on the difficult conditions faced by the Ogoni people and the environmental damage done to their homeland in the delta. A crusade was launched against the Nigerian government and the oil companies in the country by the Movement of the Survival of the Ogoni People (Mosop). This human rights group maintained that their lands were being plundered, with government and companies extracting billions of dollars per year while the locals got nothing for their resources. They were left to poverty and a damaged environment. Mosop now demanded independence for Ogoniland and control over the area’s resources. Shell collaborated closely with the Nigerian national oil company, and thereby gave indirect support to the country’s military regime through revenues from oil production. [REMOVE]Fotnote: Cummins, Ian and Beasant, John (2005). Shell Shock. The secrets and spin of an oil giant, Edinburgh: 343. In the group’s view, how this money was used fell outside its ambit. Critics claimed that Shell collaborated in plundering the country’s resources while leaving the delta dwellers to poverty, unemployment, pollution and consequent ill-health. Violent demonstrations took place. A lengthy conflict between the Ogoni and the military regime ended with the execution of nine Mosop leaders. This outcome attracted great international attention, not least because one of those killed was the world-renowned author and activist Ken Saro-Wiwa. After the executions, Shell came under attack from all sides – the media, NGOs, pressure groups and investors. Many critics rejected the group’s view that it could not interfere in the way Nigeria was governed or how its legal system functioned. In their view, Shell should have used its influence in the country to prevent the executions. They argued that profit was being put before human rights. The Ogoni issue did not lead to the same immediate drop in revenues as the Brent Spar case, but had a very negative impact on the group’s reputation. [REMOVE]Fotnote: Cummins, Ian and Beasant, John (2005). Shell Shock. The secrets and spin of an oil giant, Edinburgh: 355. From the mid-1990s, the key question for Shell was how it could operate in line with its business principles under military regimes which used force against their own people and distributed oil wealth unequally. This process initiated a shift towards accepting greater corporate responsibility for human rights and sustainable development. The violence which developed and the threats to the company prompted Shell to pull out of the Niger delta in 1993. But the pipelines across the country remained. Oil spills occurred regularly, partly because of old and damaged facilities and partly as a result of sabotage and theft. The spills helped to pollute drinking water, farmland and fishing grounds. Amnesty International launched a major campaign in 2009 to highlight the massive oil pollution in the Niger delta over 50 years. It claimed that Shell’s oil spills and environmental damage in the delta had deprived hundreds of thousands of people of the ability to grow food, drink clean water, and enjoy health and an acceptable standard of living. Amnesty described this a violation of human rights, and alleged that freedom of speech was denied and local people who had protested against the oil industry were being persecuted. [REMOVE]Fotnote: Amnesty International. https://www.amnesty.no/aksjon/flere-aksjoner/nigeria-shell-rydd-opp. A UN report in 2011 concluded that Shell had neglected crude spills in the Niger delta for many years and that oil pollution in Ogoniland had had terrible consequences for the environment and the lives of the people who lived there. Although Shell acknowledged in the mid-1990s that the delta had partly been polluted by its operations, the group took a hard line in blaming local society, criminals and saboteurs for most of the contamination. Under Nigerian law, Shell had no liability for compensation if damage was caused by sabotage. Although it and theft had been part of the problem in the delta, documentary evidence showed that old pipelines and worn-out equipment caused much of the oil leakage. 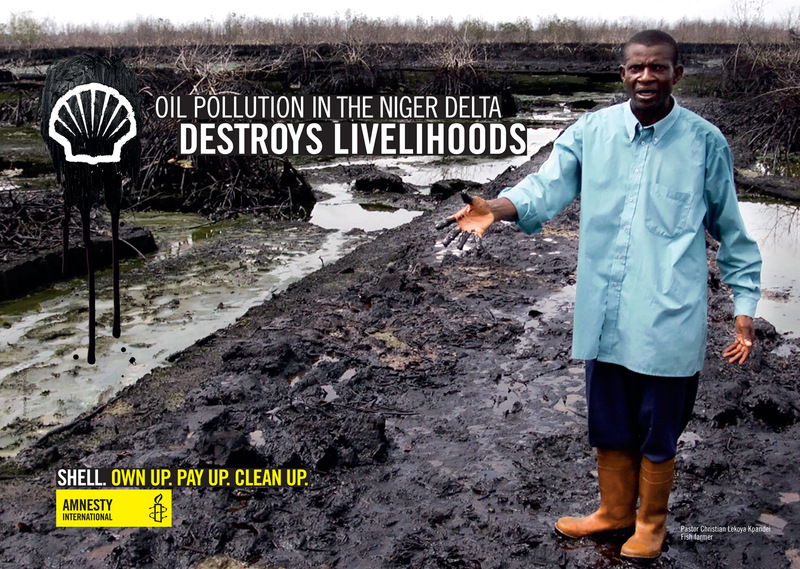 Royal Dutch/Shell agreed in 2010 to pay NOK 600 million to people whose livelihood had been destroyed by oil spills in the Niger delta. The background was two large leaks in 2008 caused by faults in an oil pipeline, which the group admitted were the result of poor maintenance. A compromise settlement was reached, with Shell apologising for the leaks it had responsibility for but reiterating its claim that most spills in the area were down to extensive oil theft and illegal refining. Despite a number of incidents, where Shell was not the only oil company involved in human-rights and environmental issues, a solid group and a world-renowned brand had been built up over almost a century. However, it emerged in January 2004 that the Shell group had been exaggerating its oil reserves over a number of years. They had to be reduced from 20 to 16 billion barrels. At the same time, the group was forced to admit that – for the third year in a row – it had pumped up more crude than had been secured in the form of new reserves. [REMOVE]Fotnote: Dagens Næringsliv, 9 January 2004 “Shells oljereserver minker”. http://www.dn.no/nyheter/2004/01/09/shells-oljereserver-minker. The group had to undertake further writedowns in March and April. Internal documents revealed that top management had been warned as early as 2002 that booked reserves were overstated. Sir Philip Watts, chair of the board, and Walter van de Vijver, CEO of Shell Exploration and Production, were forced to resign with immediate effect in March 2004. [REMOVE]Fotnote: Olsen, Olav Søvik (2007). Rapportering og revisjon av olje- og gassreserver med utgangspunkt i Shell-skandalen 2004. Unpublished MSc thesis, Norwegian School of Economics. When the scandal erupted, Sir Philip Watts said that he had considered resigning but decided to stay on. Nevertheless, the announcement many had expected came soon afterwards. Sir Philip and Walter van de Vijver had to resign with immediate effect. The Shell group was a huge undertaking. Parent companies Royal Dutch and Shell Transport were listed on the stock exchange from 2005, with 60 and 40 per cent respectively of Royal Dutch/Shell. They owned a number of holding, service and operational companies involved in various sectors of the oil, natural gas, chemicals, coal, metals and other businesses in many countries. As outlined above, the group was one of the most decentralised enterprises in the global oil industry. The management of each subsidiary was fully responsible for its own activities. This bureaucratic structure was ripe for reform. The old system meant slower decisions, confusing accounts and lack of transparency. Investors blamed the corporate structure for the failure to identify and deal with the oil reserves scandal. The latter prompted a review of the group and its management, which led in November 2004 to the announcement that Shell was to create a new parent company with its head office in the Hague and its business offices in London. This restructuring was completed on 20 July 2005. Royal Dutch Shell plc, as the new enterprise was known, had a single board, chair and CEO. Shares in the company were split 60/40 between Royal Dutch and Shell shareholders respectively, in line with the original proportions decided in 1907. [REMOVE]Fotnote: http://www.ft.com/cms/s/0/2fbca8ce-2948-11d9-836c-00000e2511c8.html?ft_site=falcon&desktop=true#axzz4VYorwEWv. Jeroen van der Veer was appointed the first CEO of the merged company, and maintained that the new structure would create greater responsibility and a guarantee against audit problems. It would also be more execution-oriented and competitive as well as less complex, he affirmed, and said that the fixed goal was to make Shell a different company. It would now concentrate on clarity, simplicity, efficiency and responsibility. The group has had its ups and downs, and has been exposed to scandals and boycott. But it remains one of the world’s largest enterprises, with 93 000 employees in more than 70 countries. And the stylistically clean red-and-yellow shell which forms its logo is one of the best-known brands on the planet – so well established that the group decided in 1999 that the company name no longer needed to be part of it.